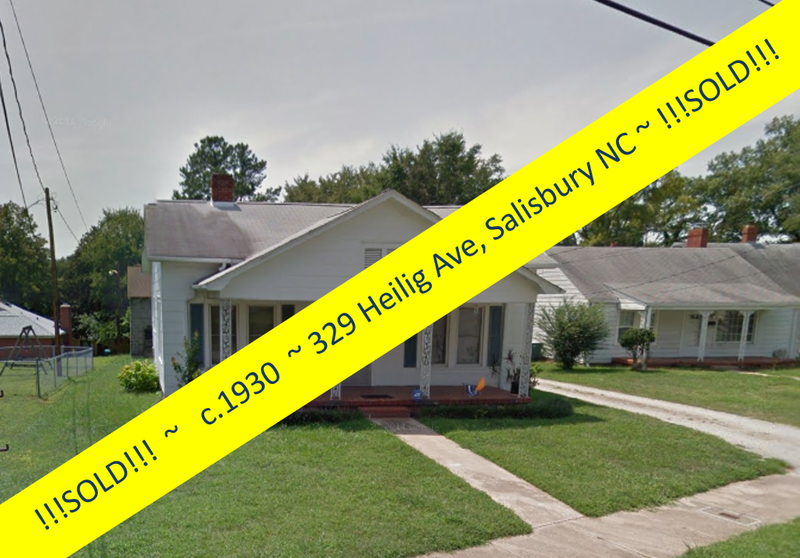 1403 South Fulton Street is for sale and . 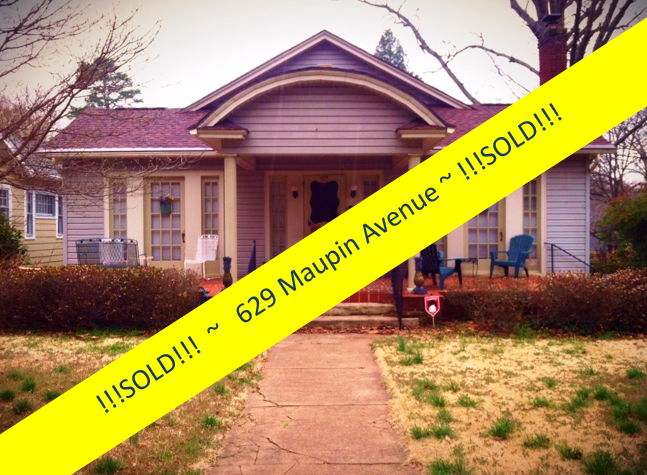 . . What a Buy!!! 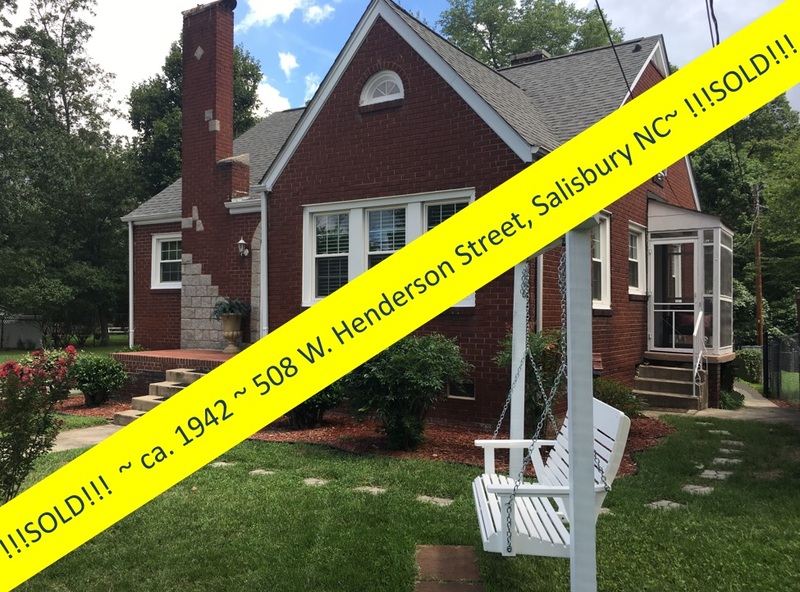 This solid masonry brick home with loads of built-in storage space, wood floors, period millwork, and original tile bathroom is priced $30K below tax value! 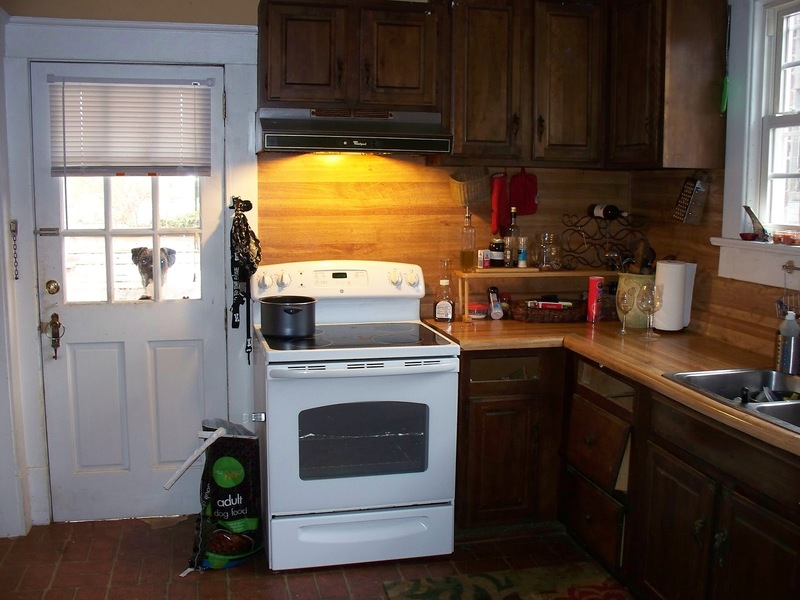 Folks, this is an opportunity not to be passed by! 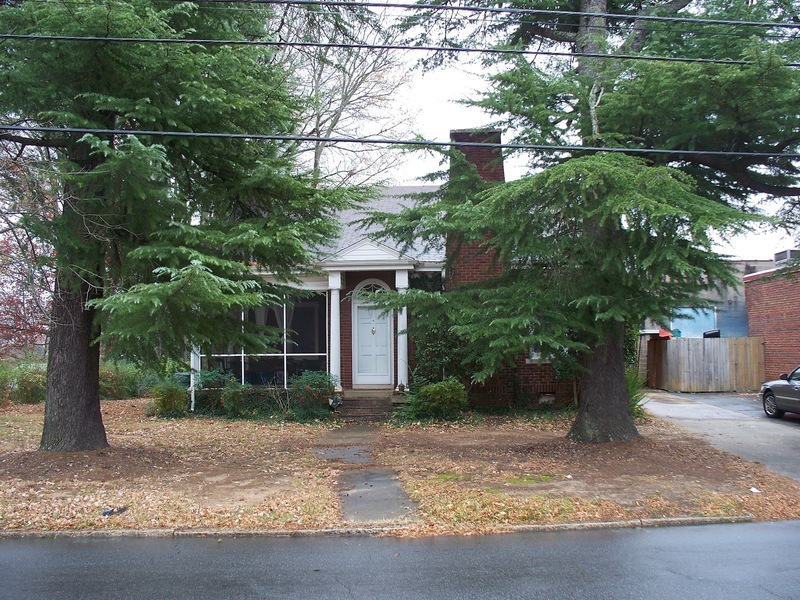 This home at 1403 S Fulton Street deceivingly appears small from the outside, but features large spacious rooms with a great circular-flow floor plan. 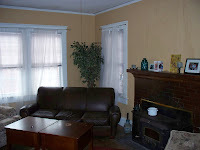 From the welcoming front portico you enter through the front door with its attractive arched transom into the large 20’ x 14’ living room with fireplace. From there you can go through to either one of the two 12’ x 14’ bedrooms . 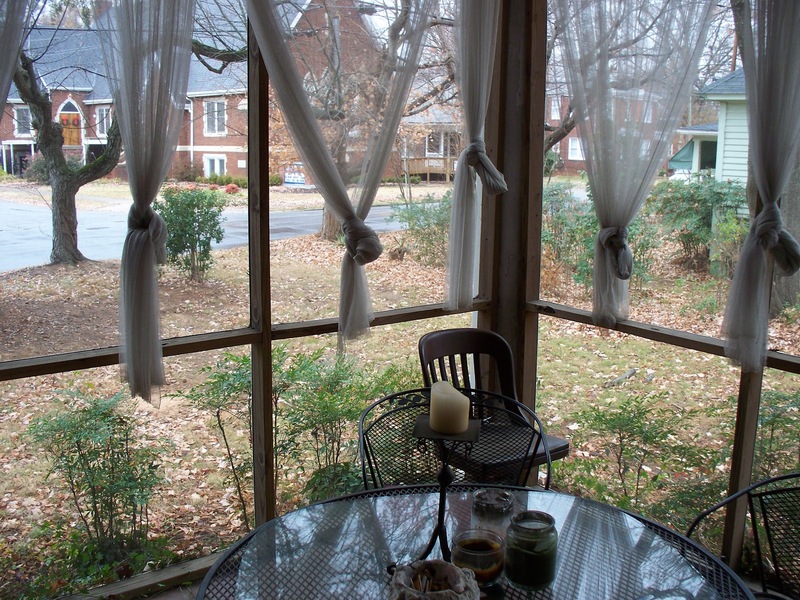 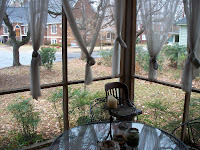 . . or turn to the left to enjoy your beautiful screened porch with terracotta tiled floor ~ looking out into a yard with its huge shade trees. Heading upstairs will take you to the enormous, nearly 30’ x 15’, wood-paneled attic bedroom with unique angled walls and deep storage closets. 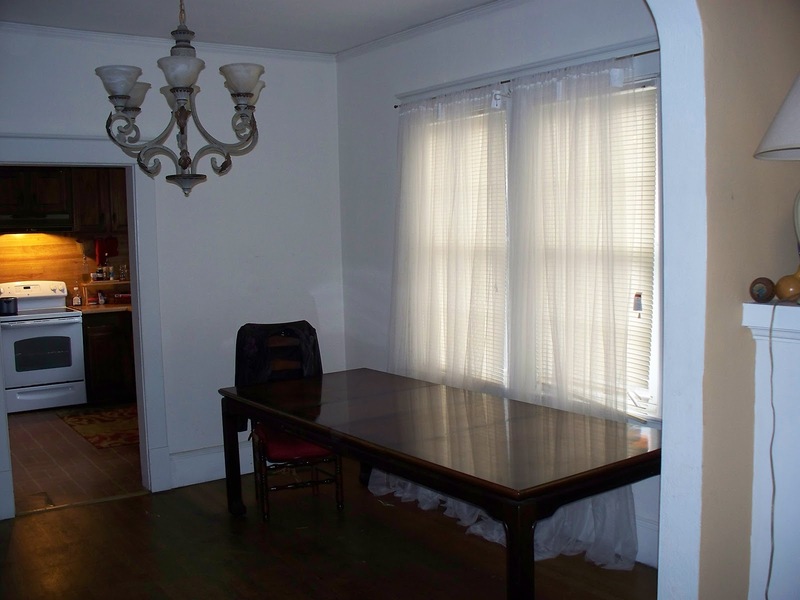 From the living room, you walk through an archway to the 12’x 12’ dining room, and from there to the nearly 12 x 12 kitchen, workable yet ripe for renovation with its butler’s pantry and built-in storage space. 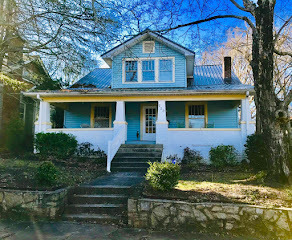 From the kitchen you can exit through the back door to one of the most special attributes of this charming Fulton Street home: the large fenced backyard, perfect for entertaining, or just playing fetch with your puppy. 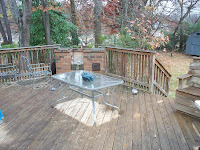 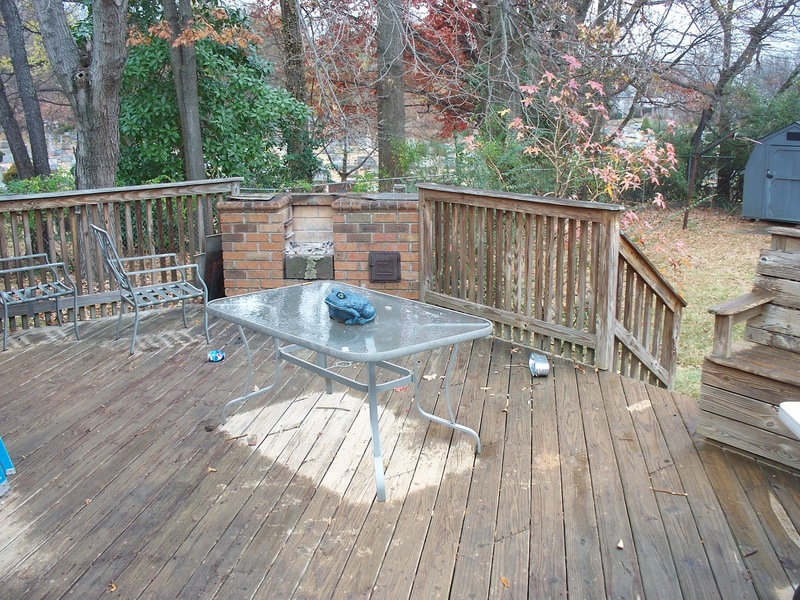 This South Fulton Street home features a large deck, perfect for summer relaxing, and the masonry BBQ fireplace at one corner of the deck is the perfect touch to this great outdoor entertaining and living space. 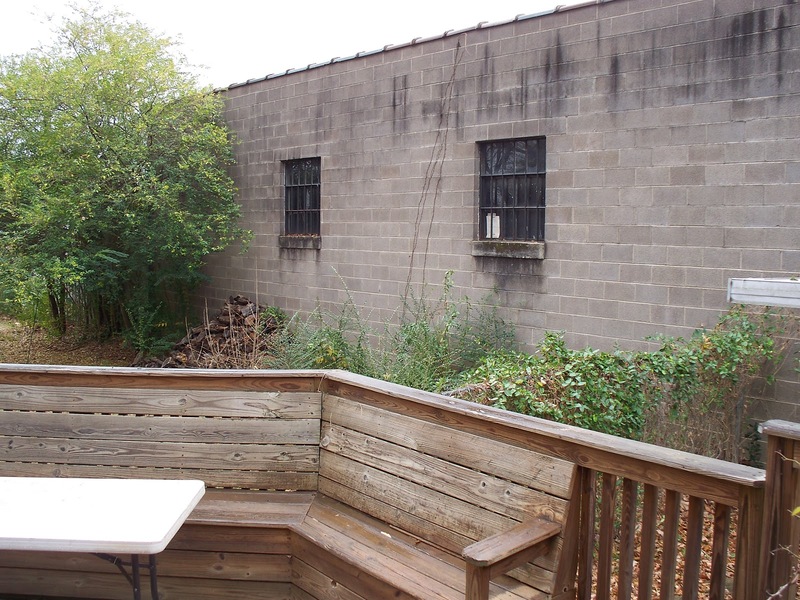 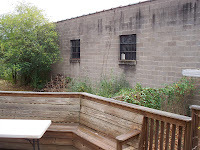 The block sidewall of a quiet, next door, commercial building creates the feeling of a walled courtyard, something a savvy gardener will really make the most of! 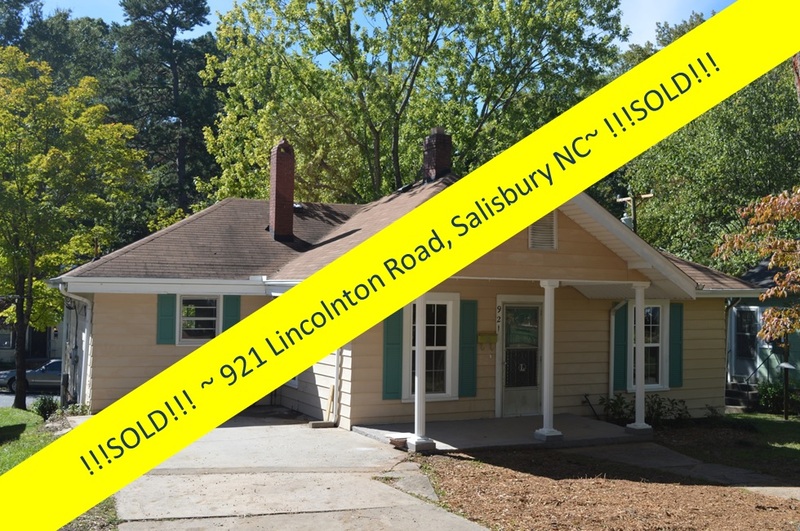 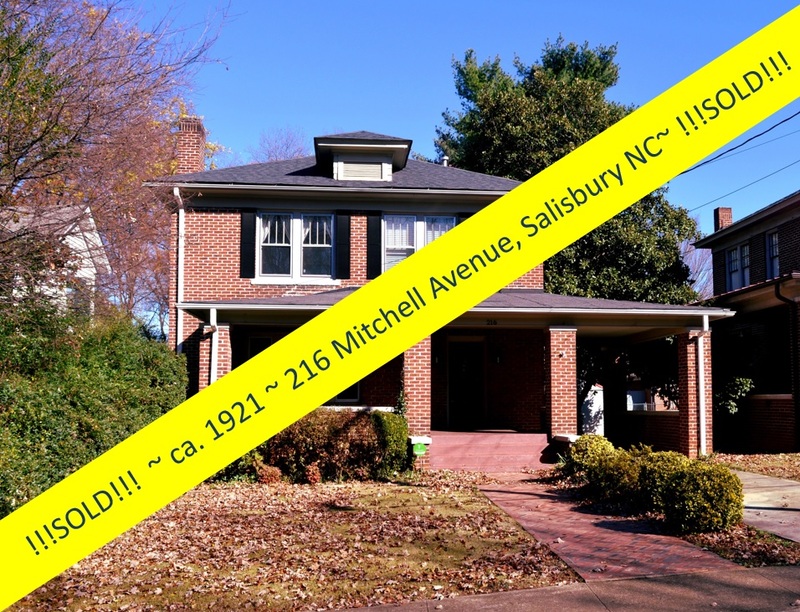 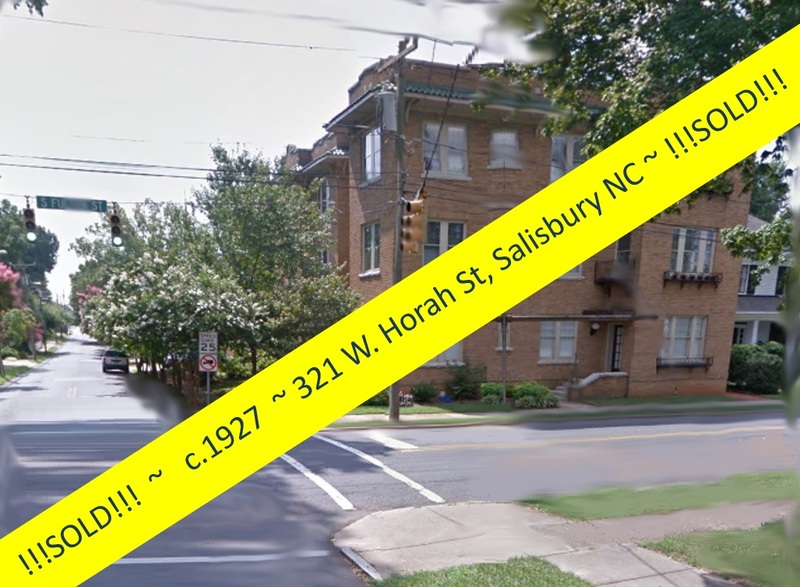 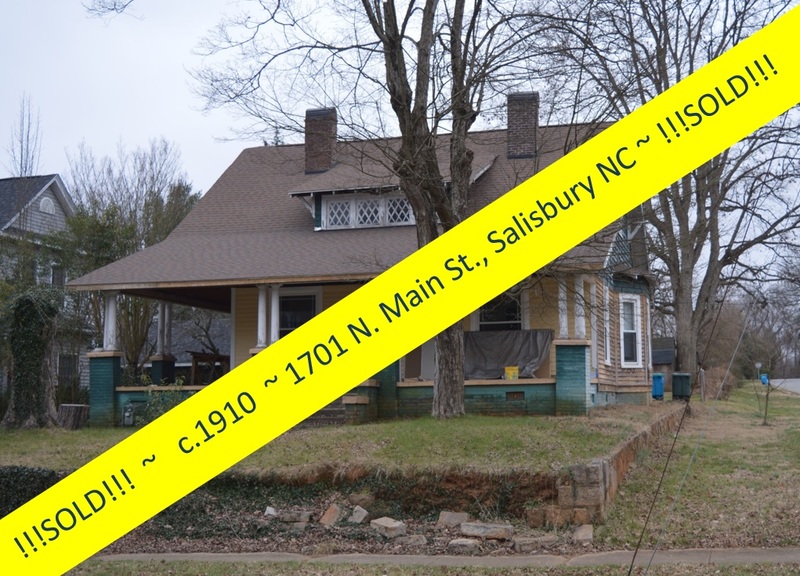 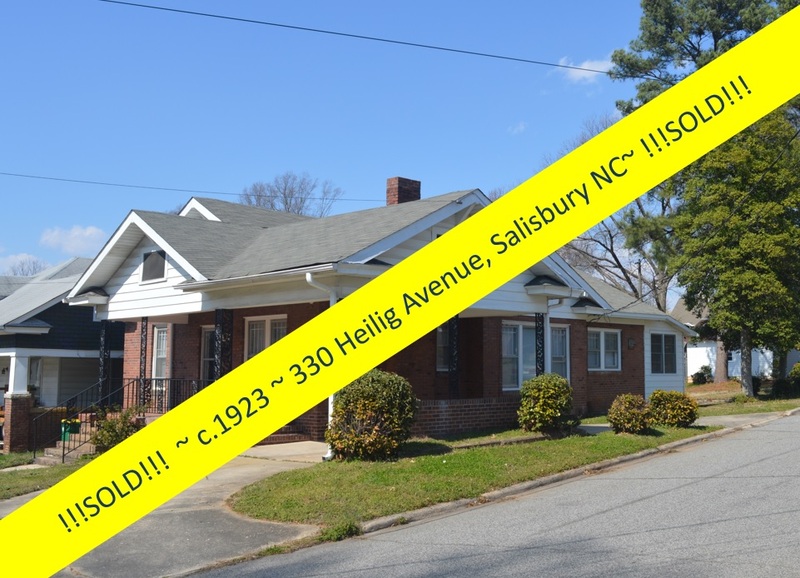 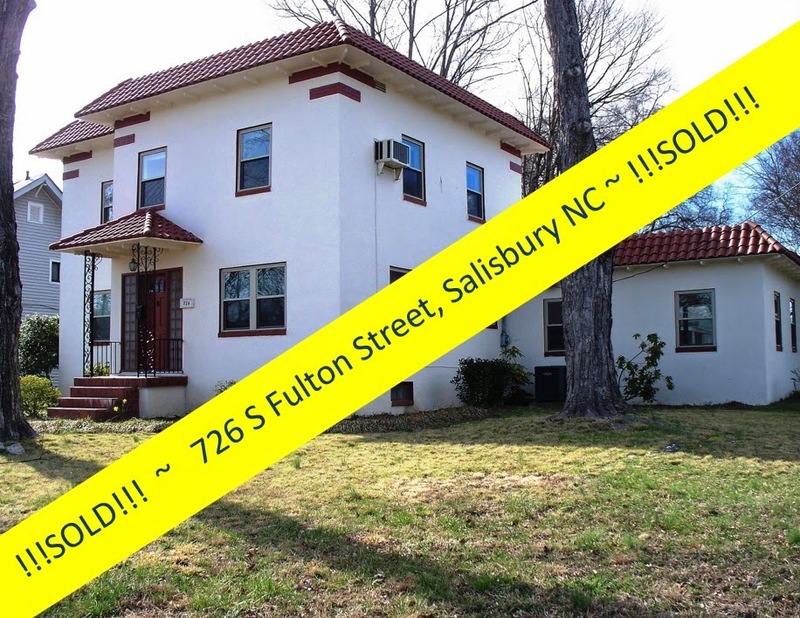 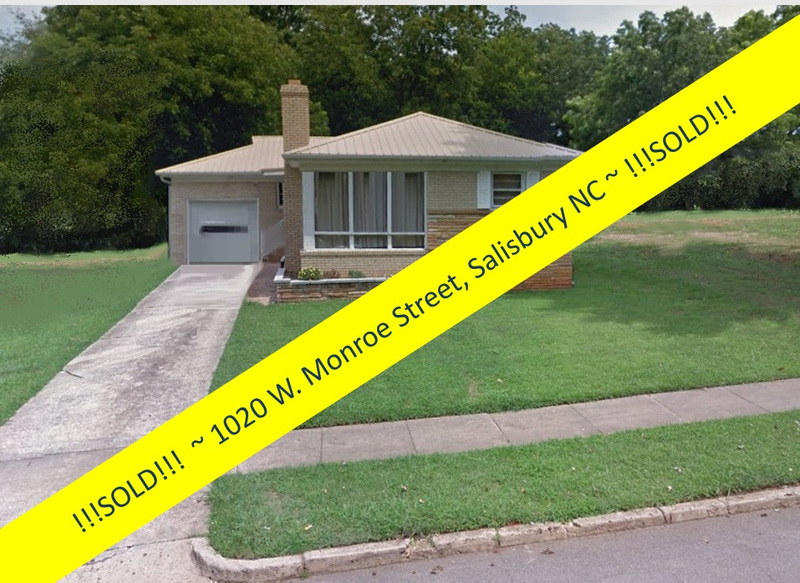 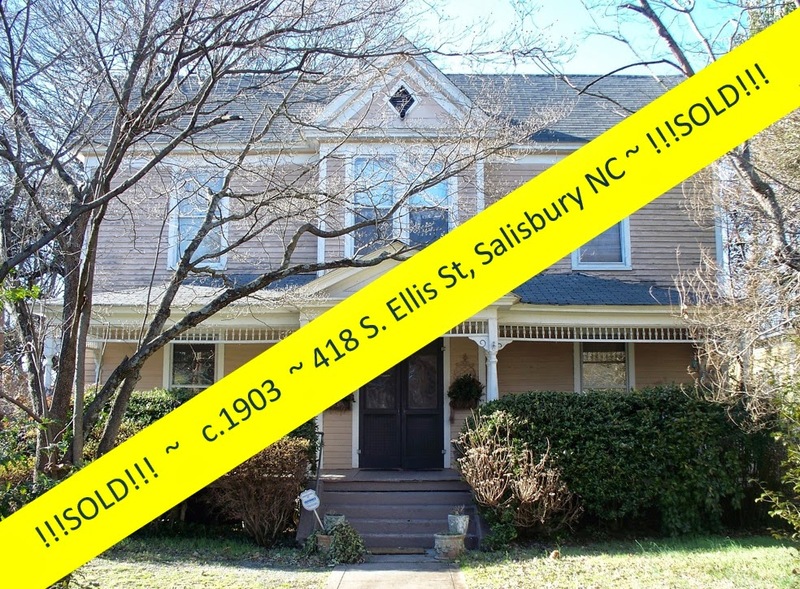 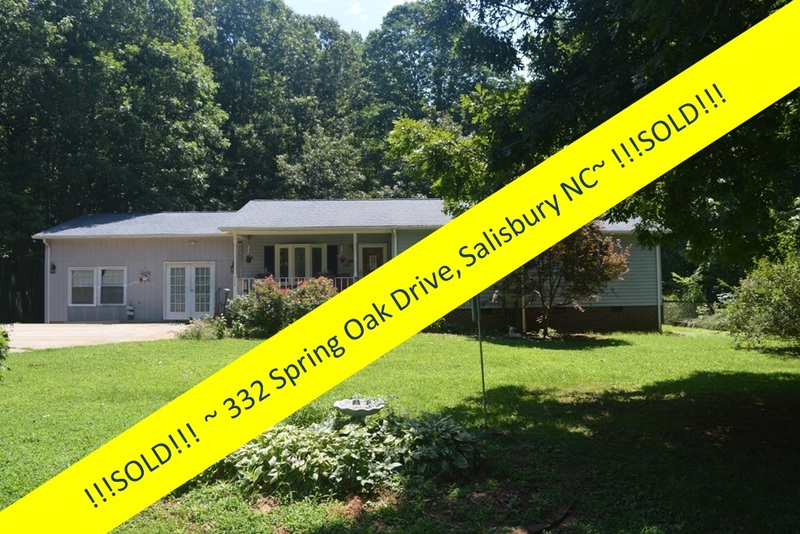 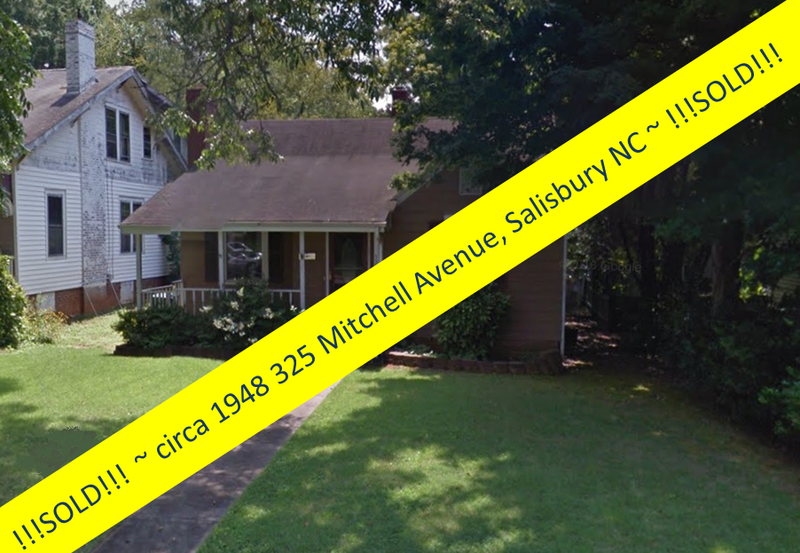 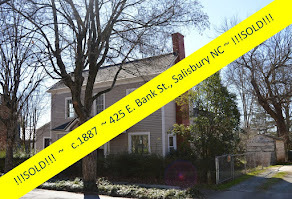 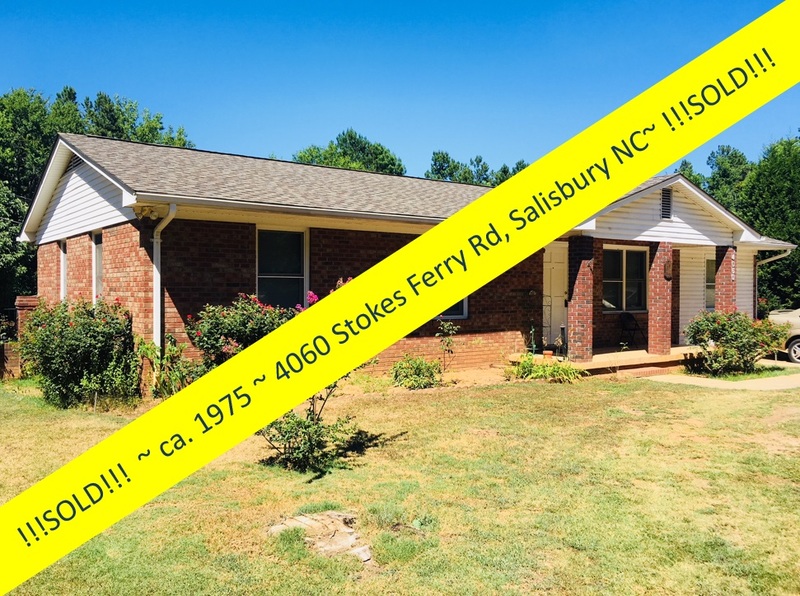 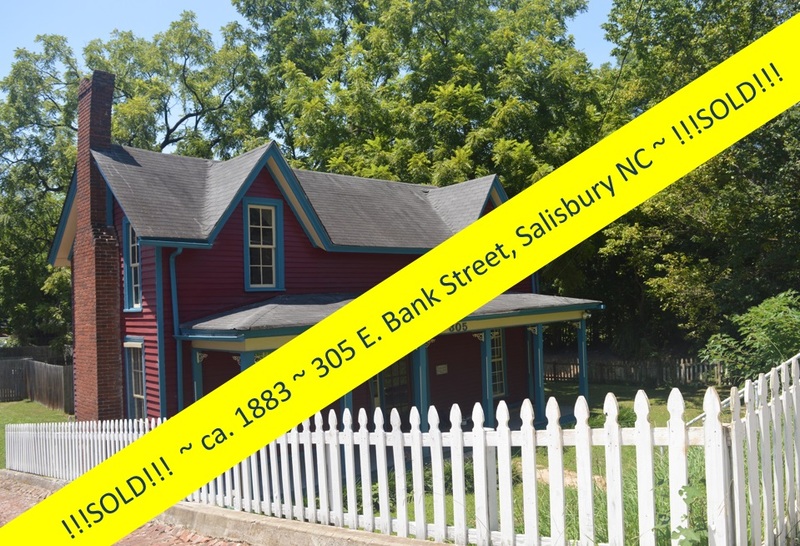 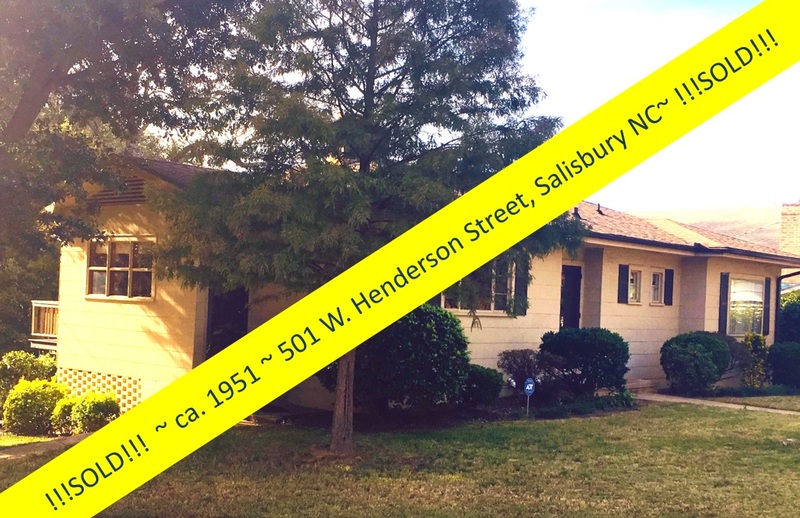 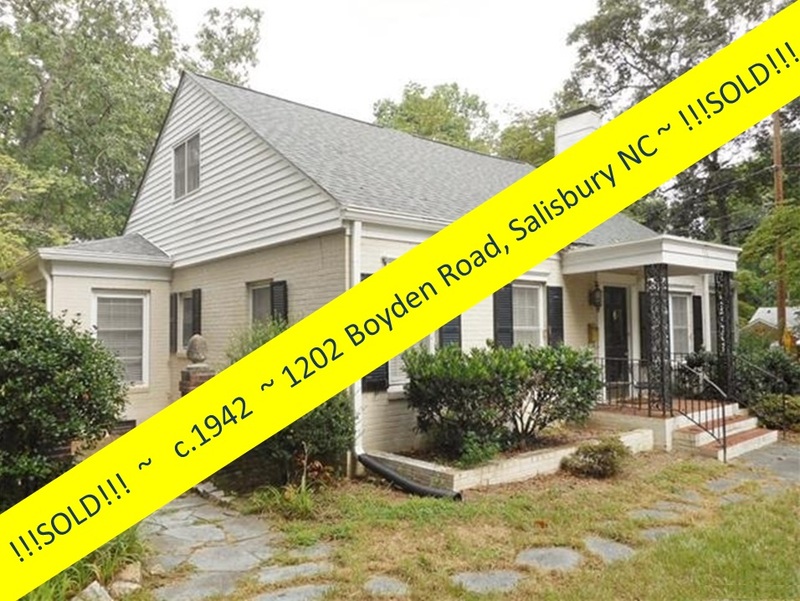 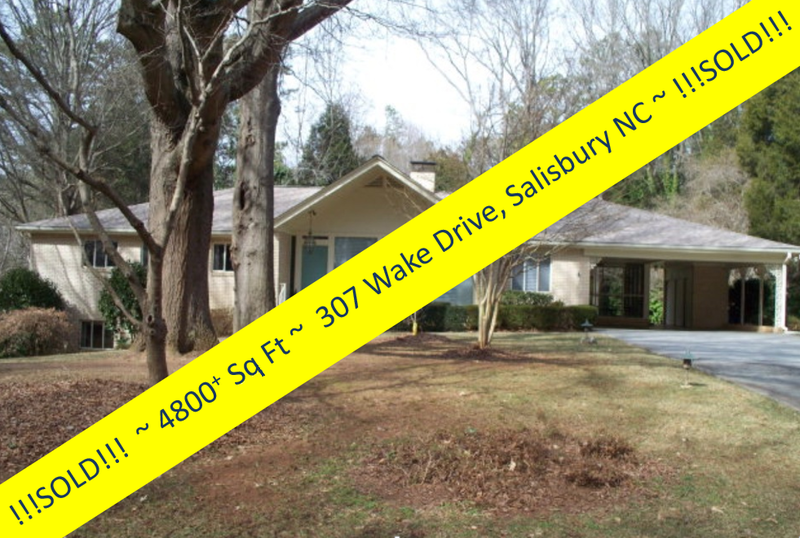 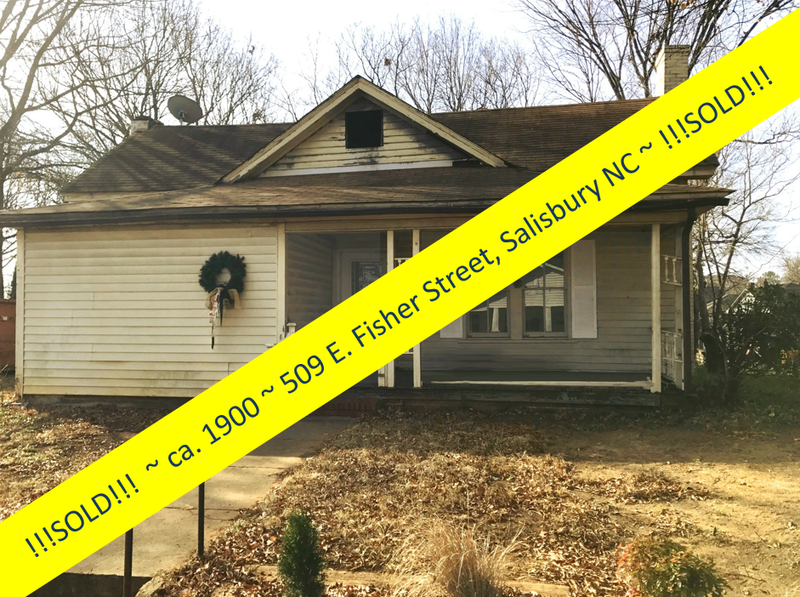 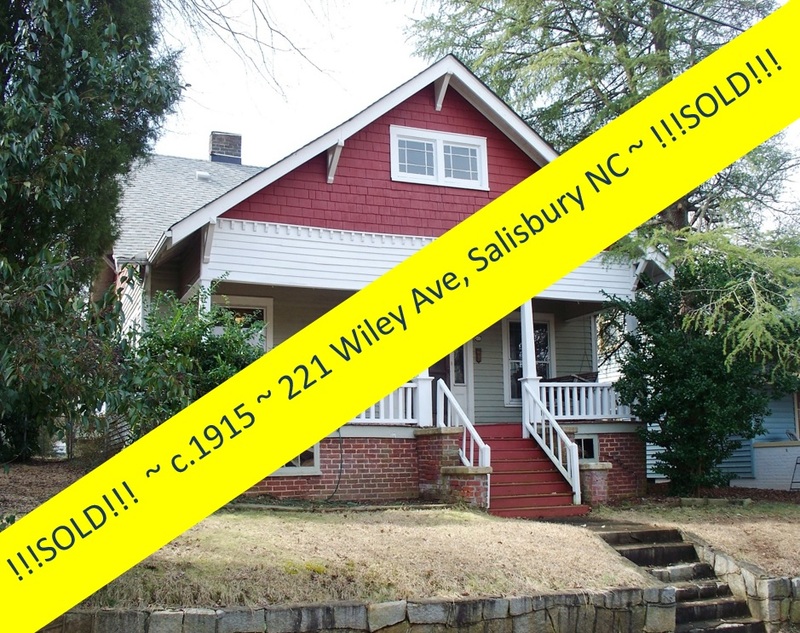 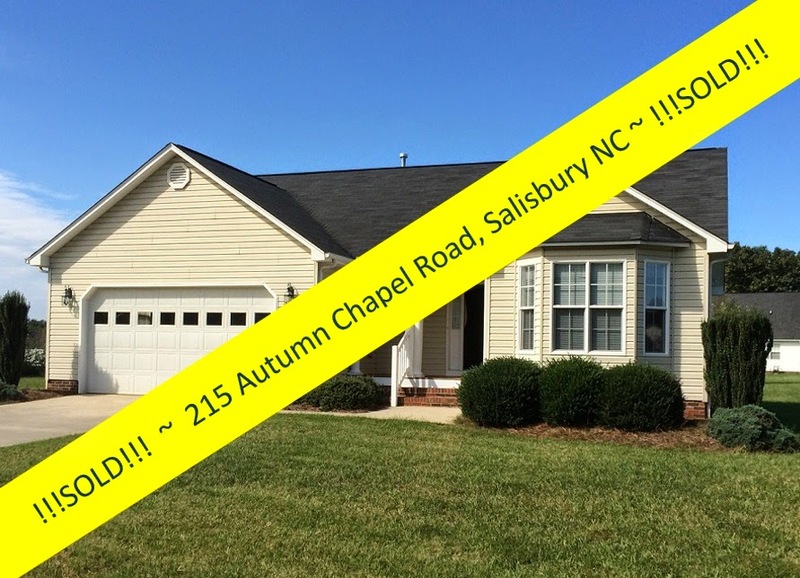 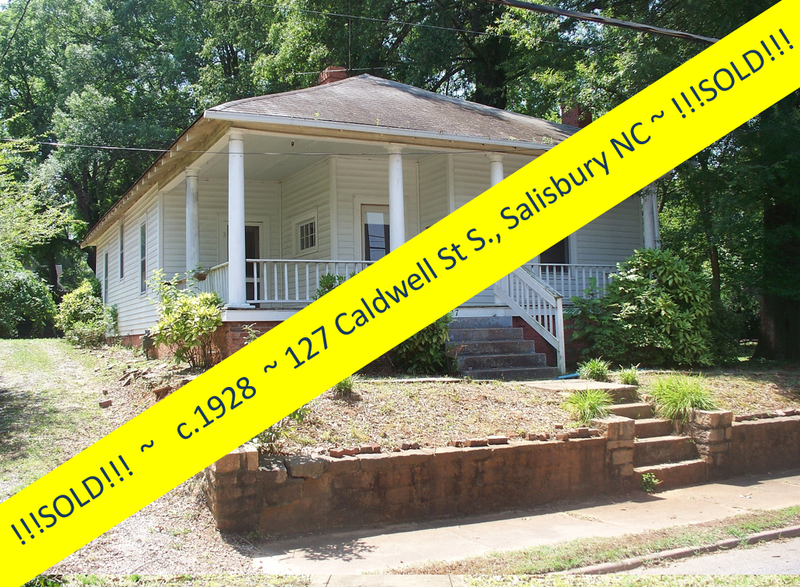 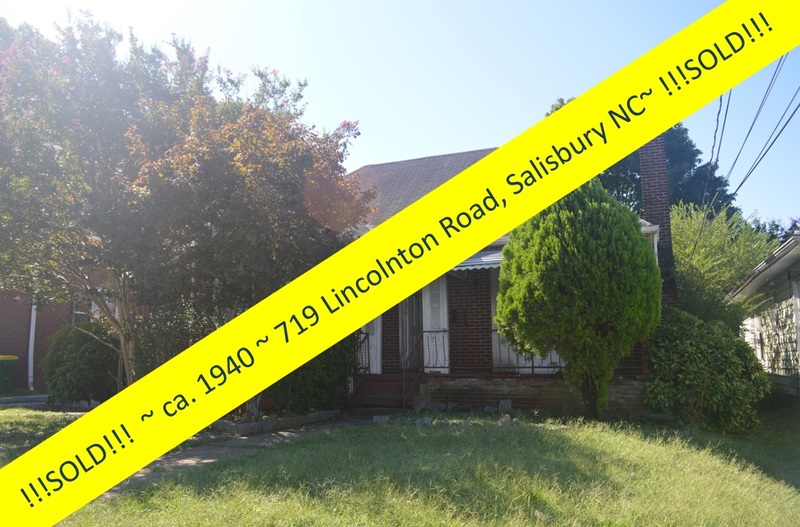 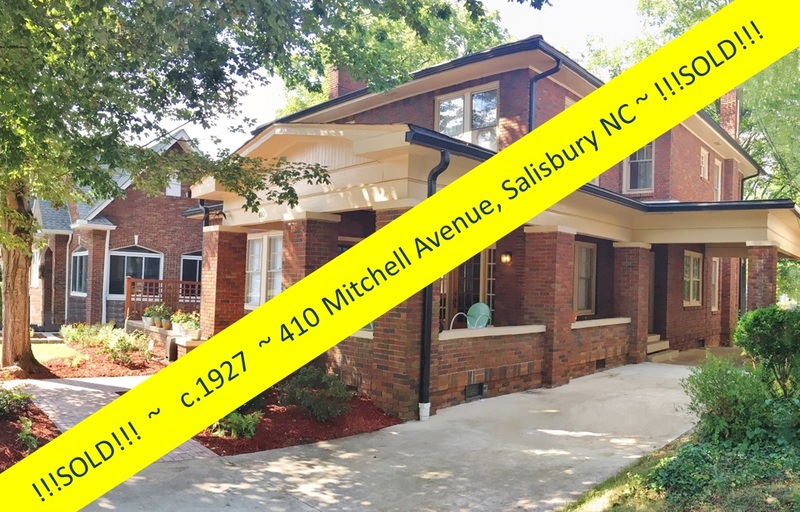 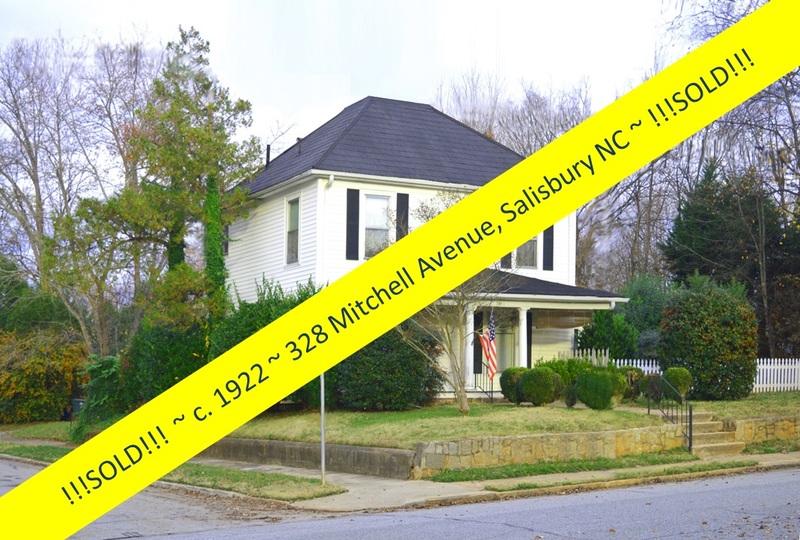 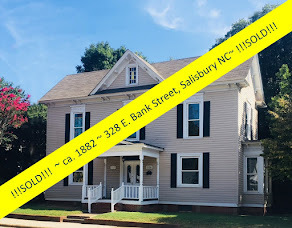 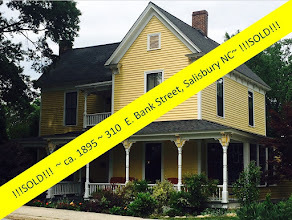 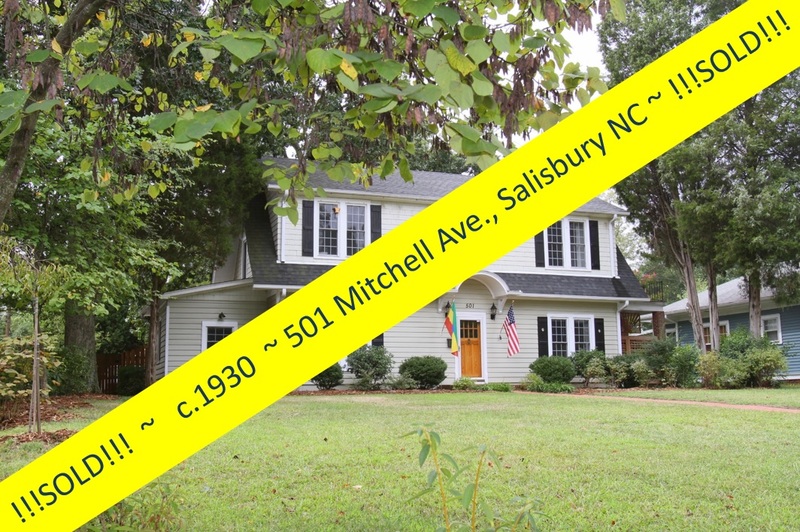 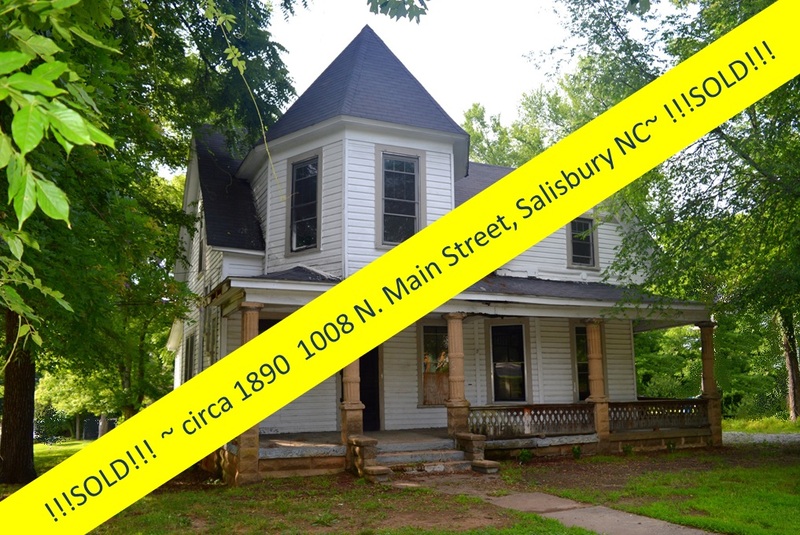 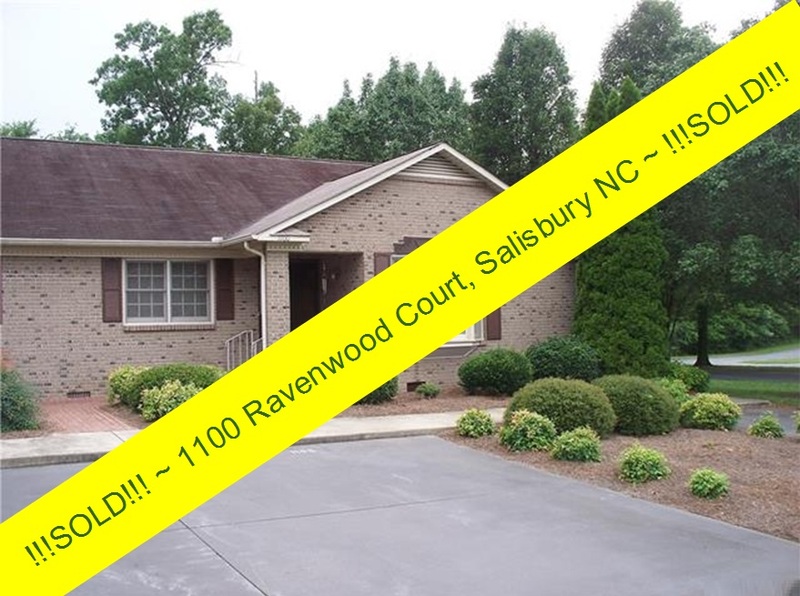 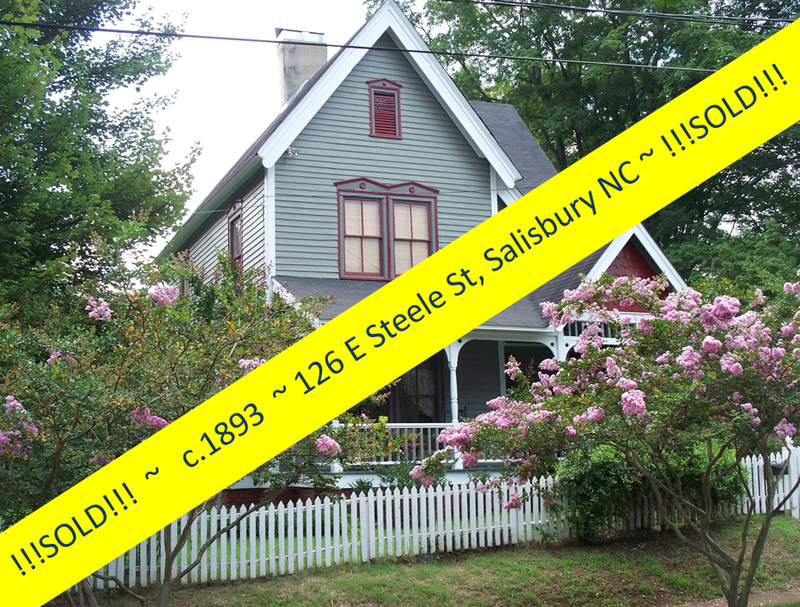 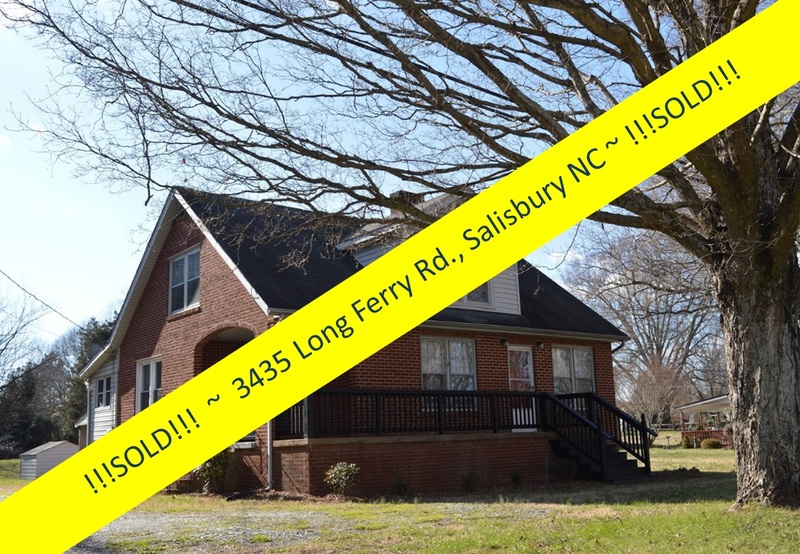 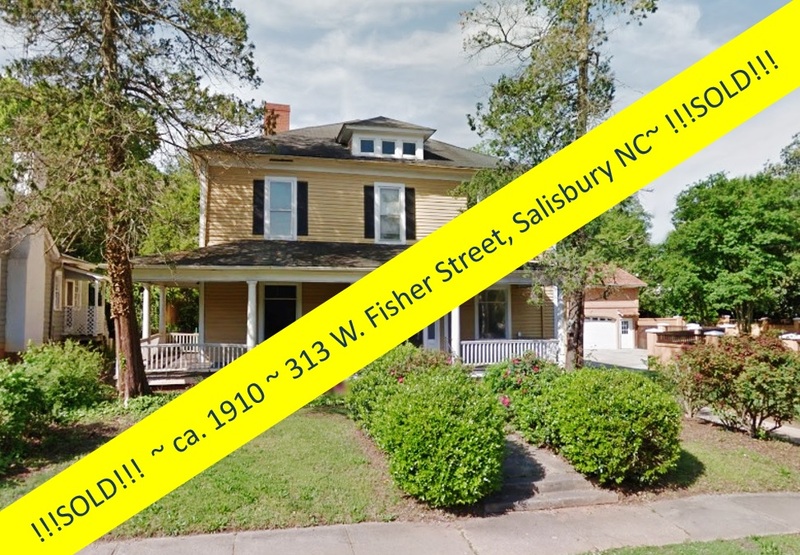 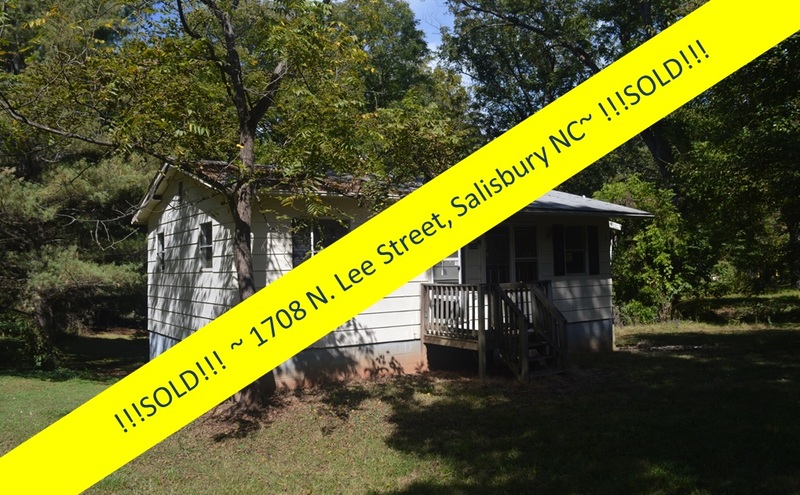 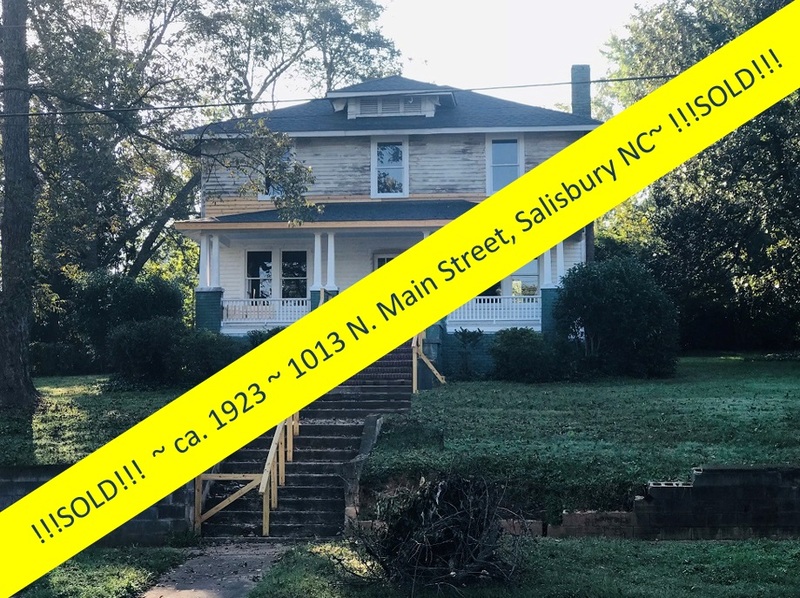 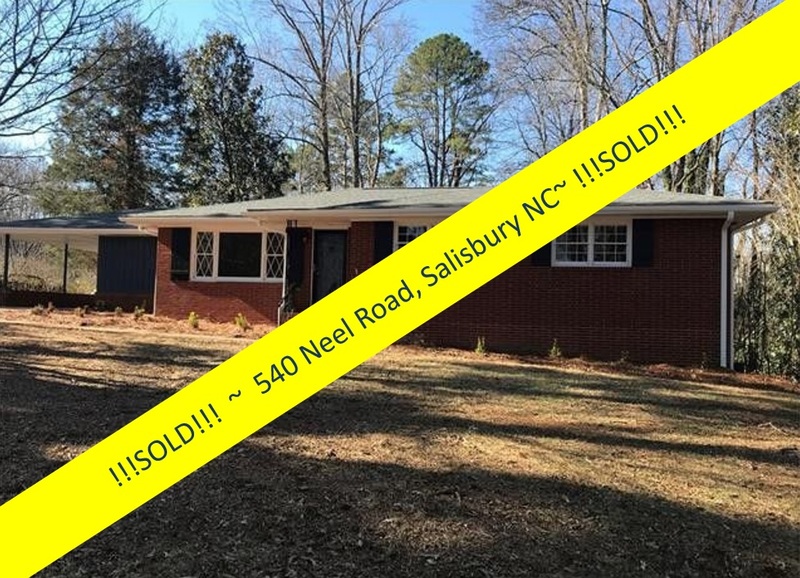 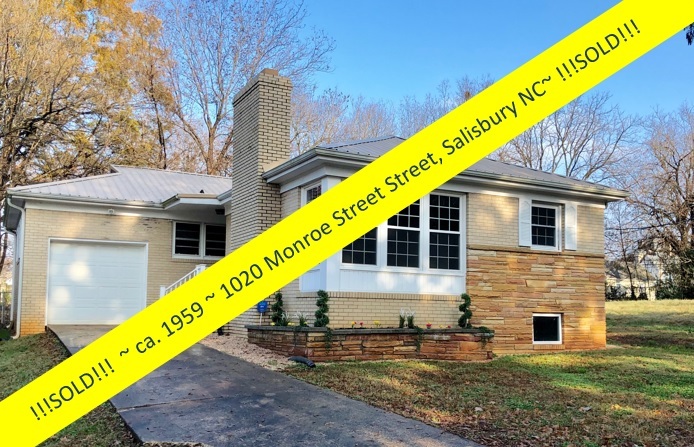 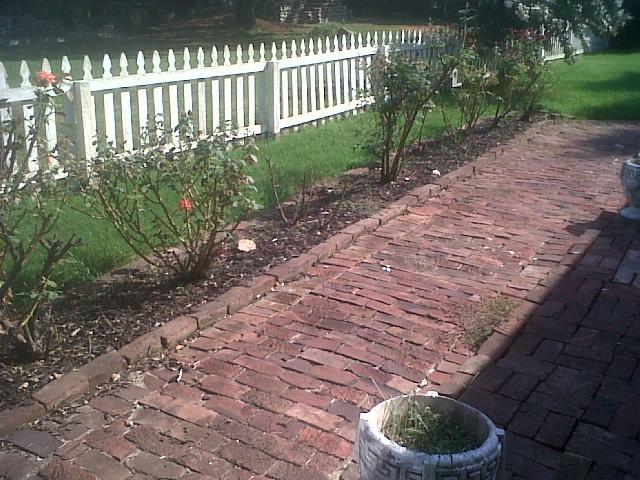 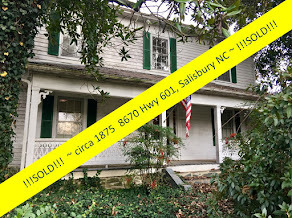 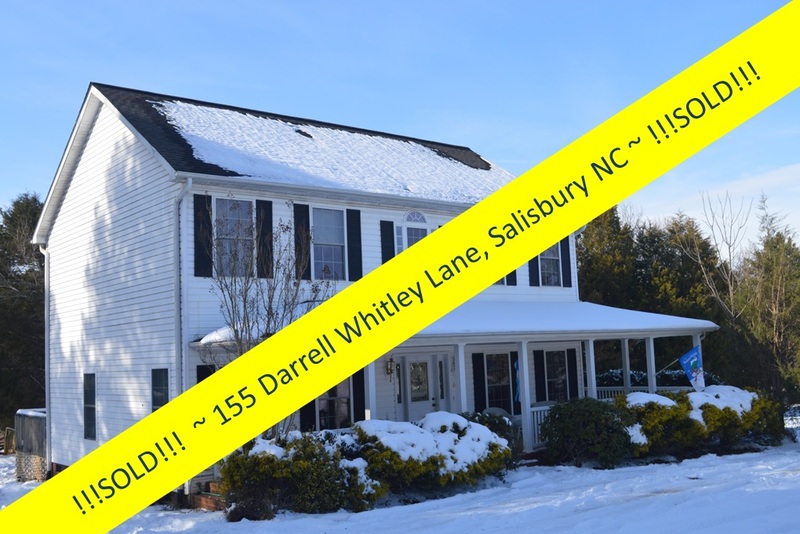 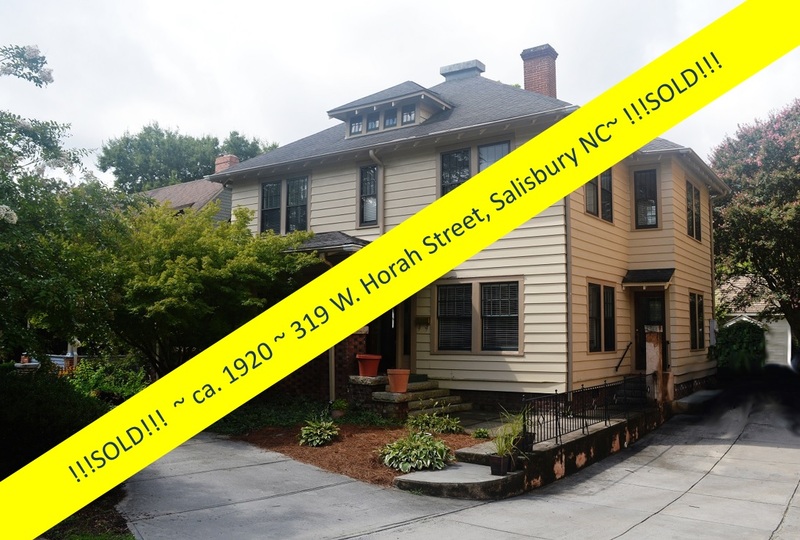 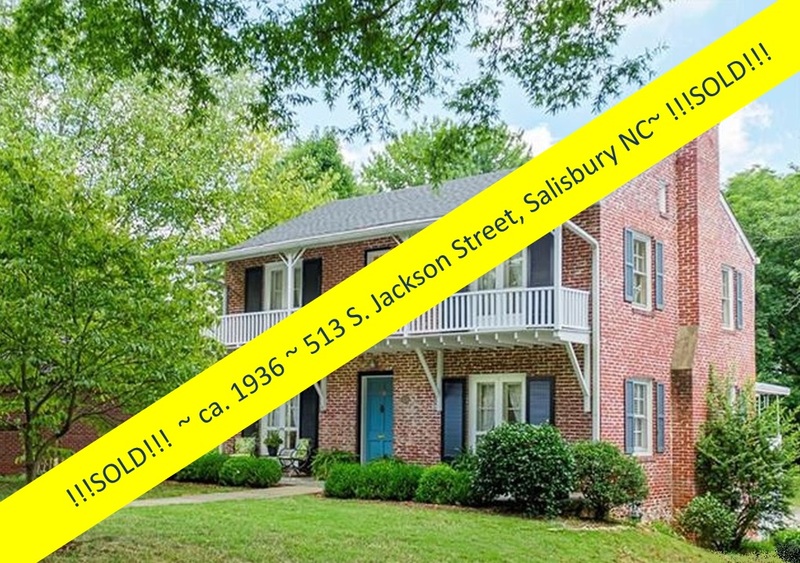 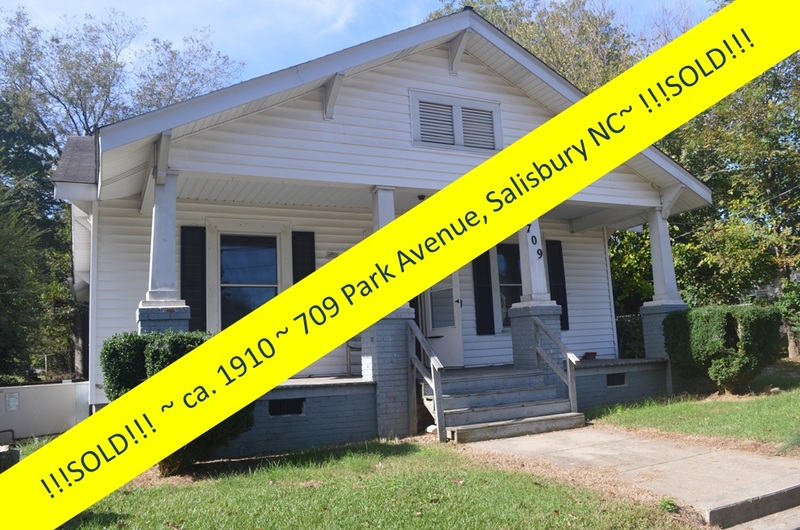 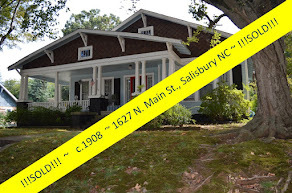 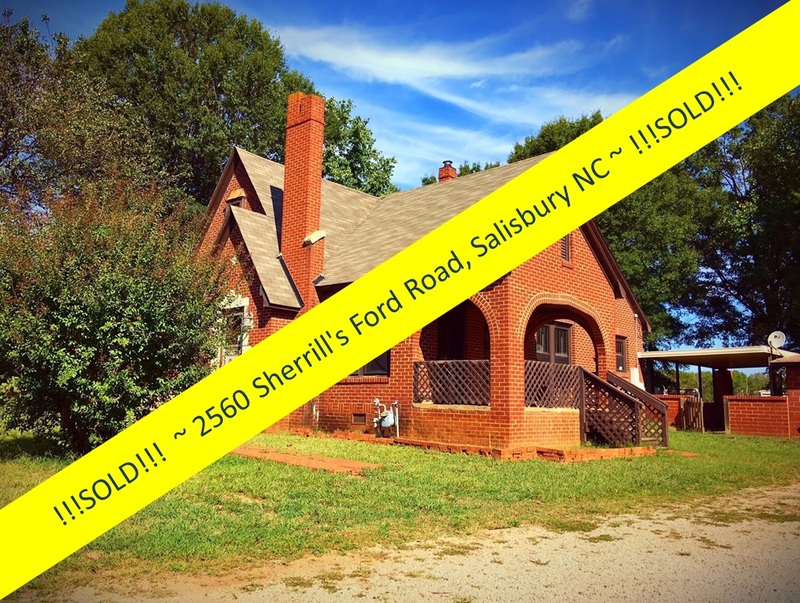 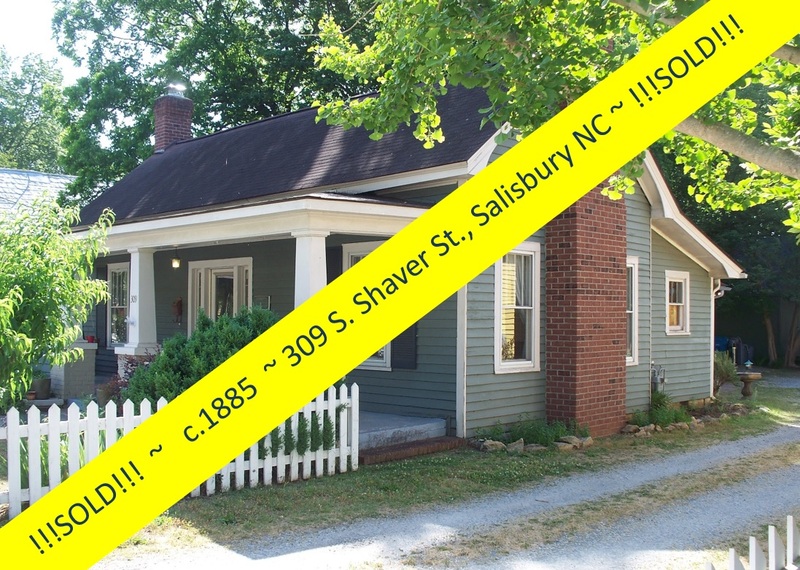 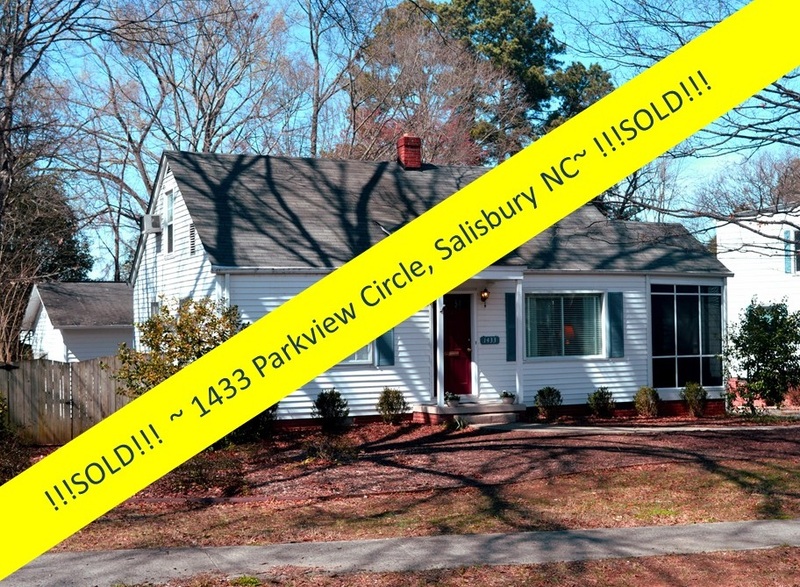 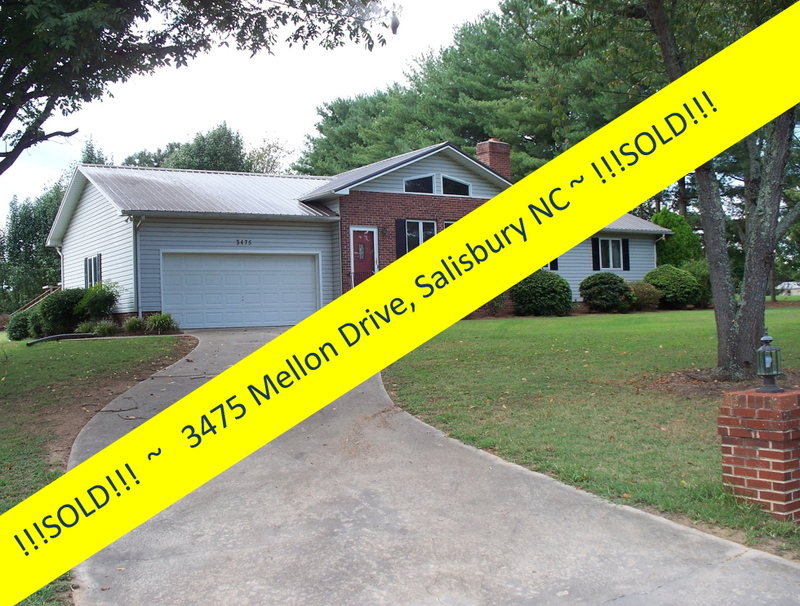 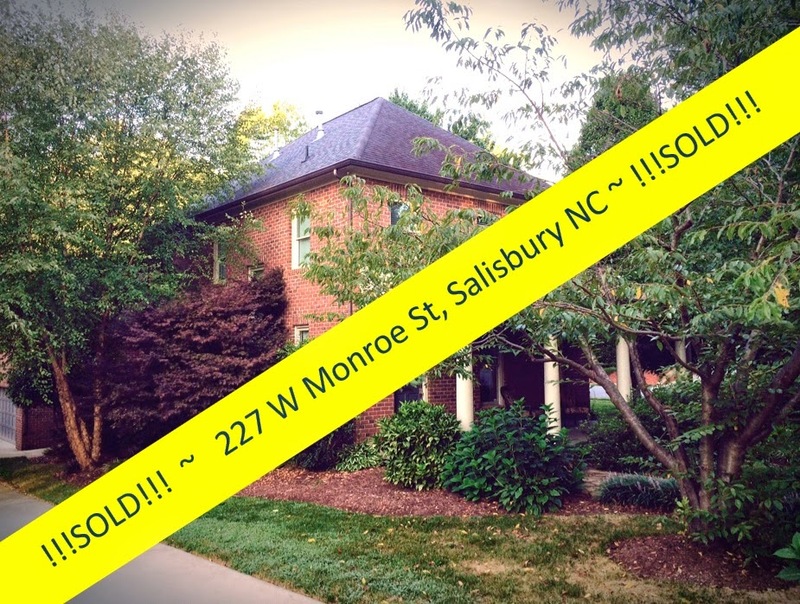 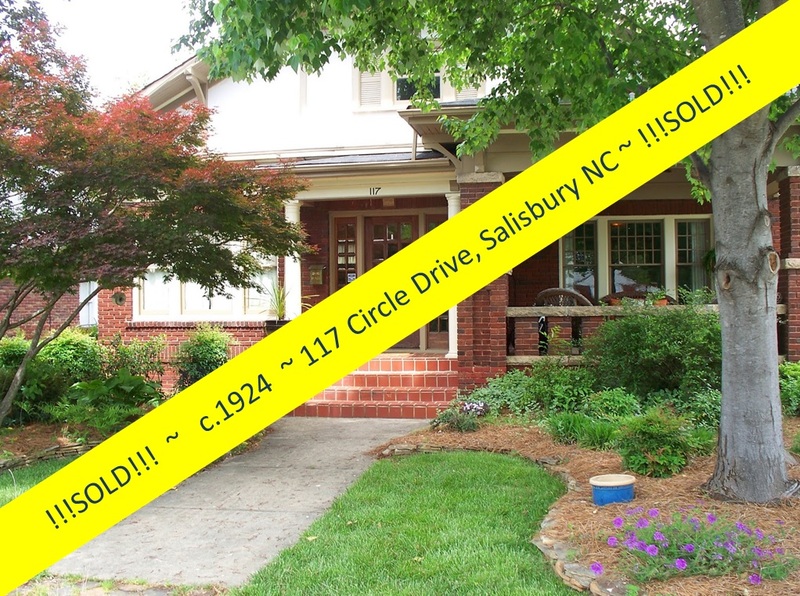 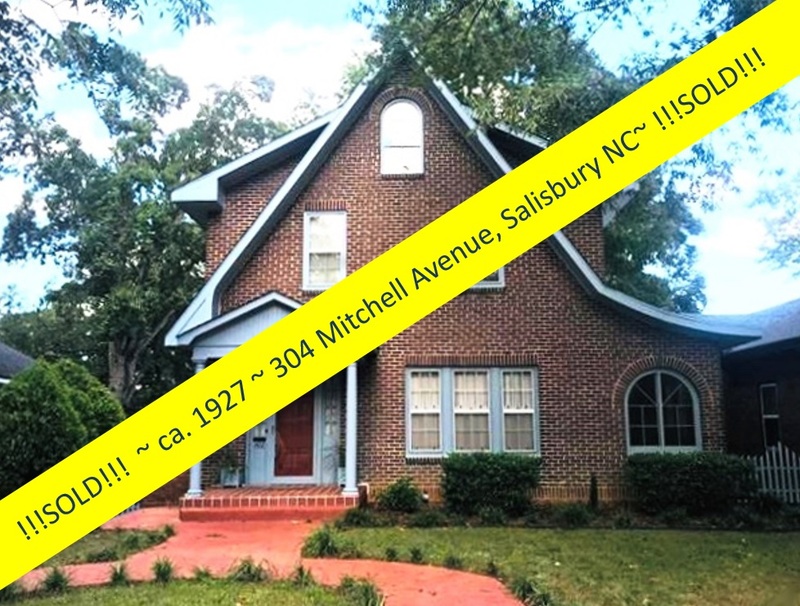 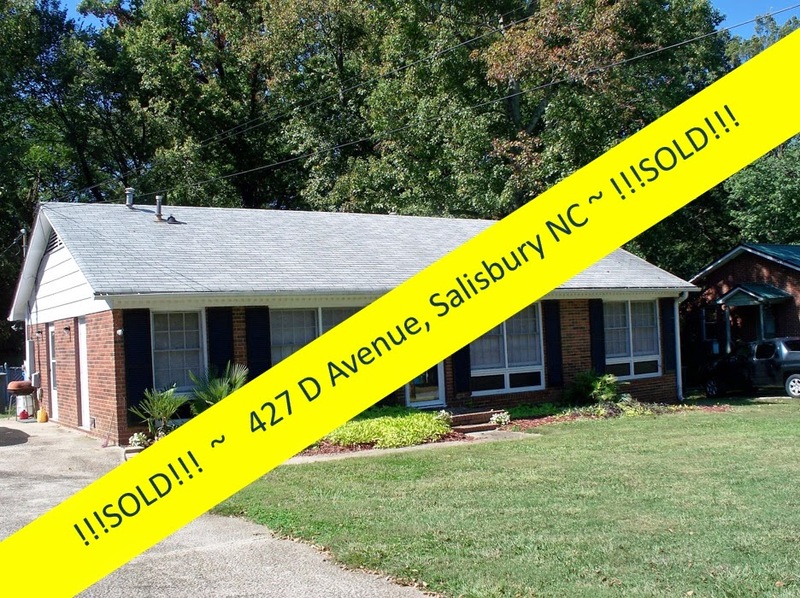 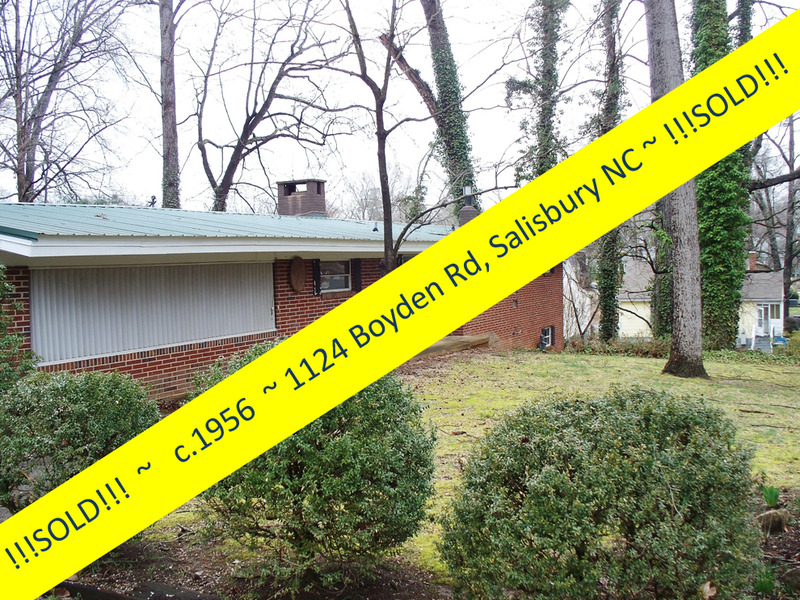 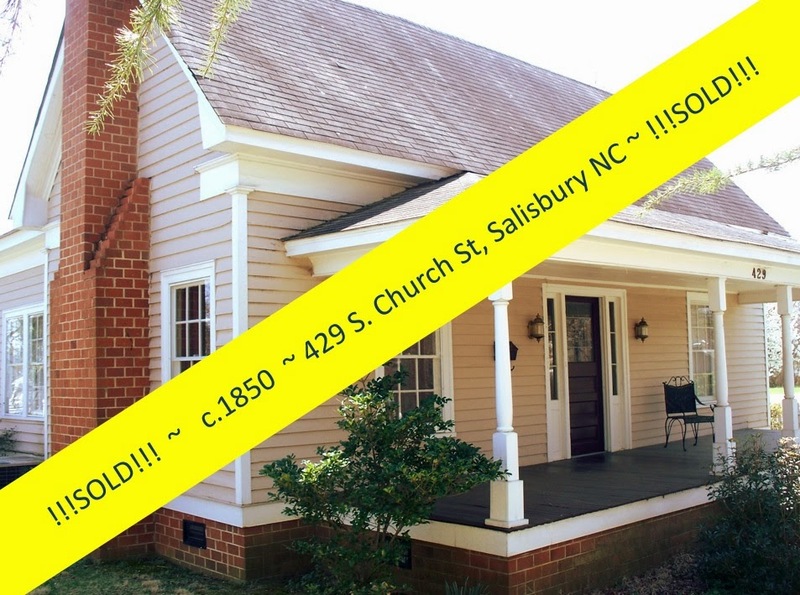 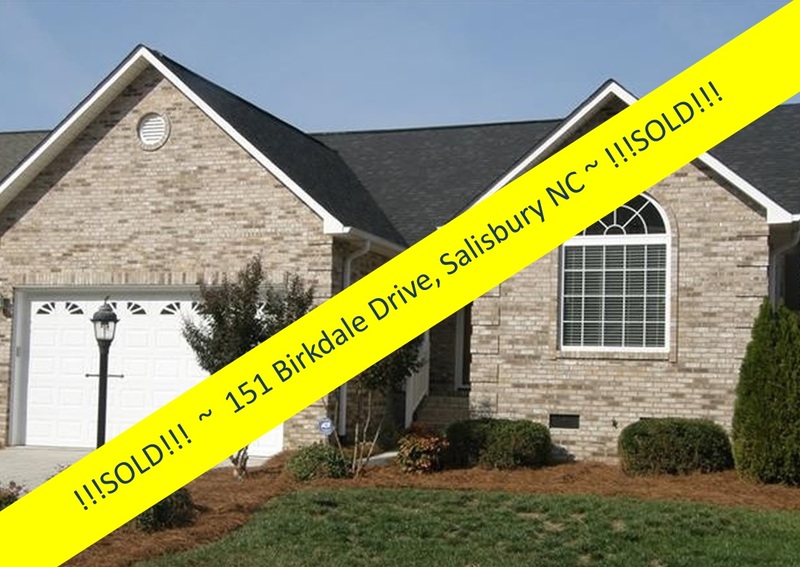 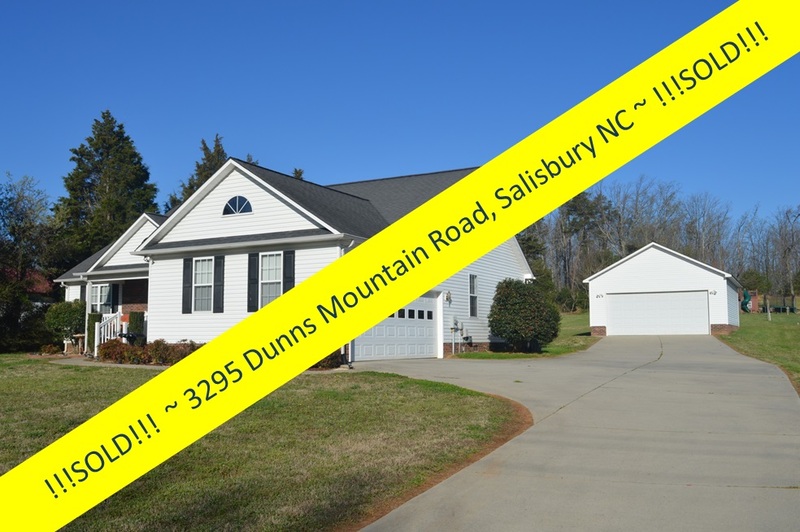 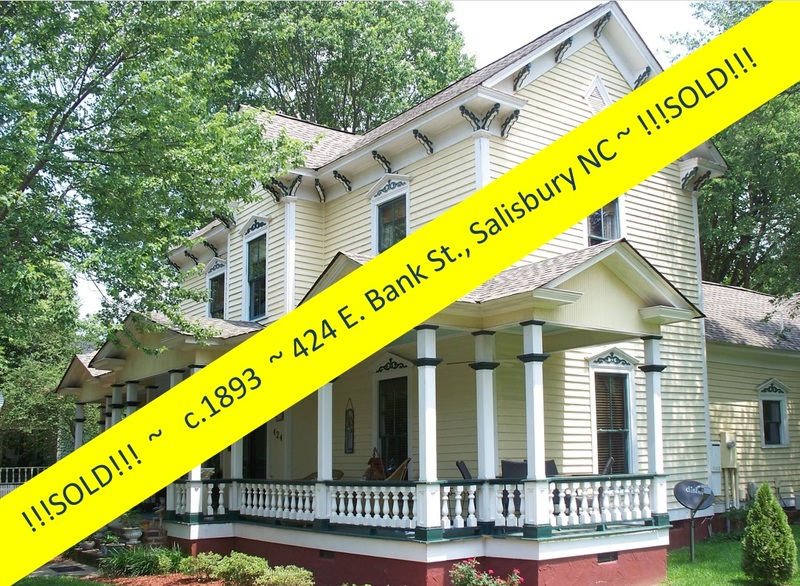 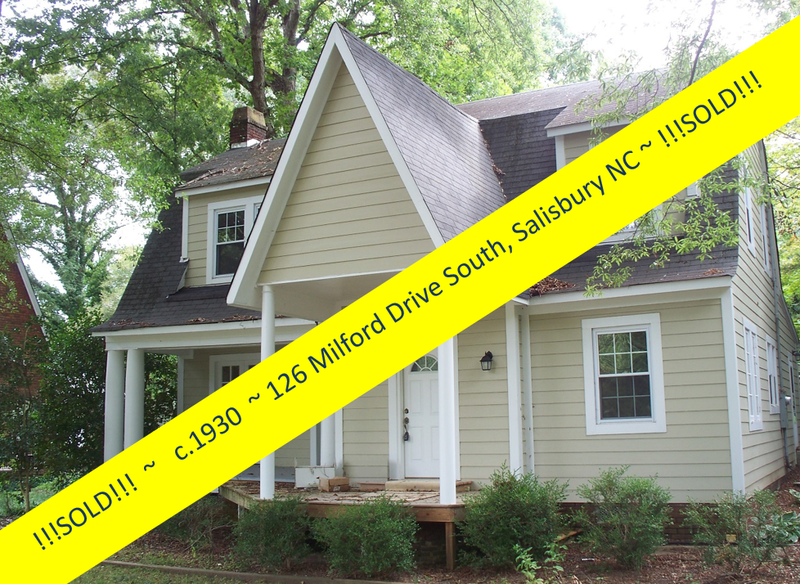 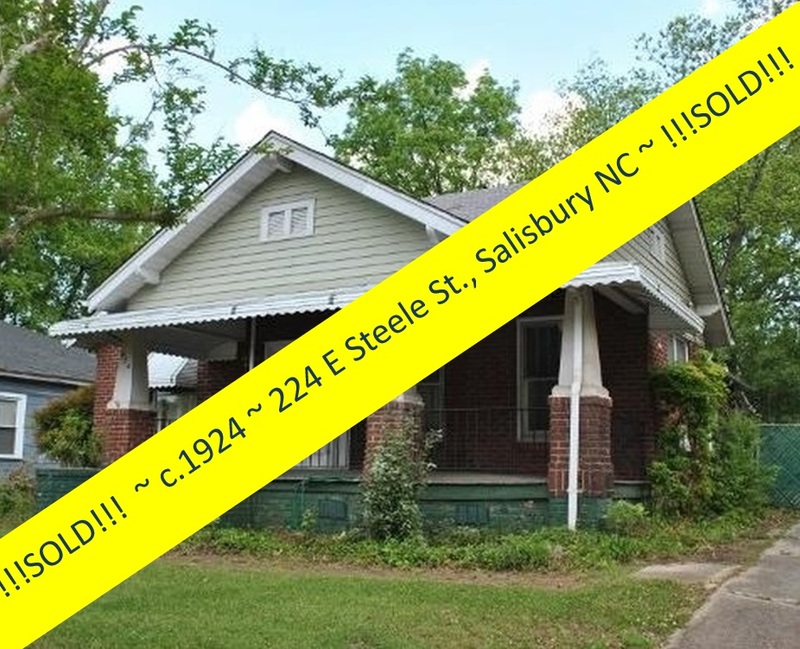 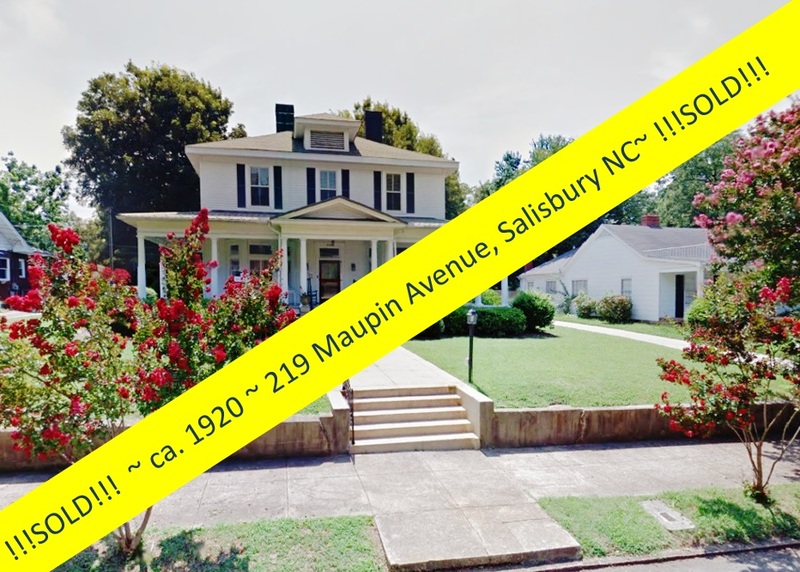 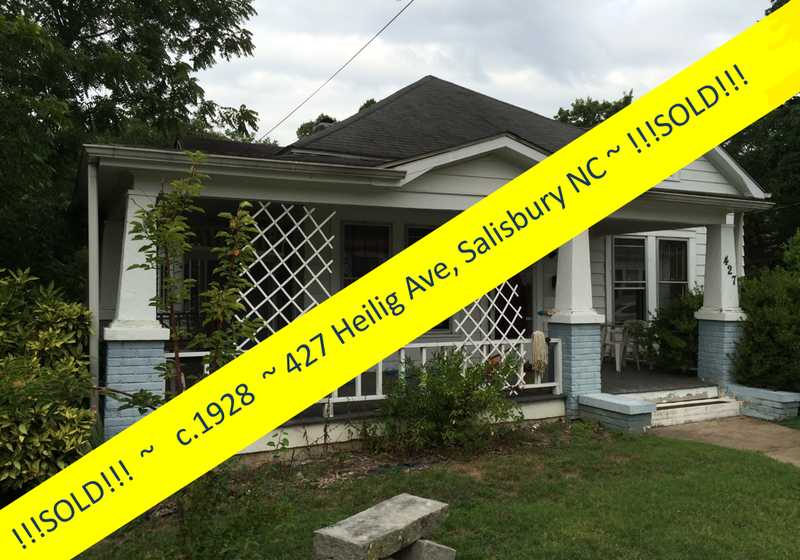 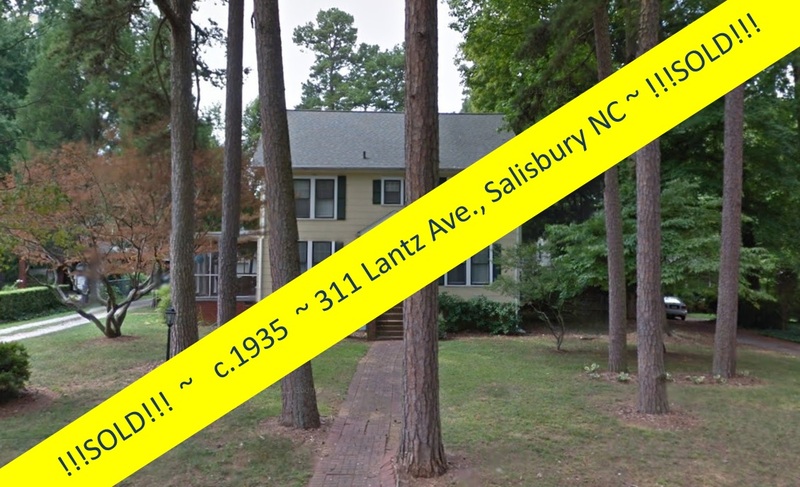 This 1425 square foot solid masonry brick home in one of Salisbury’s 10 historic districts is nestled in a friendly neighborhood, the popular Fulton Heights Neighborhood of Salisbury North Carolina, while being close to everything in downtown Salisbury. 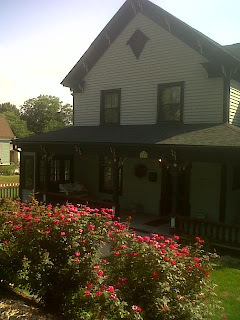 The Fulton Heights Neighborhood was selected by Rowan Magazine as the Best Neighborhood 2010, based on votes by the public. 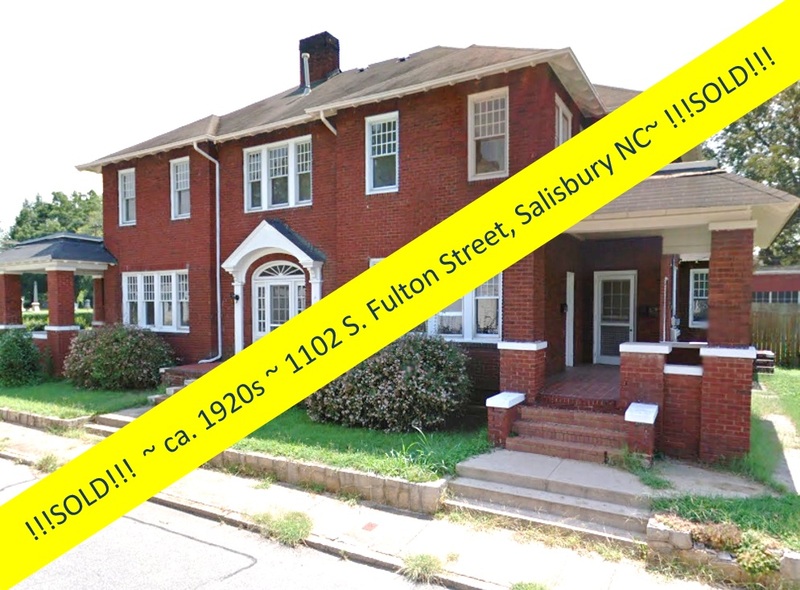 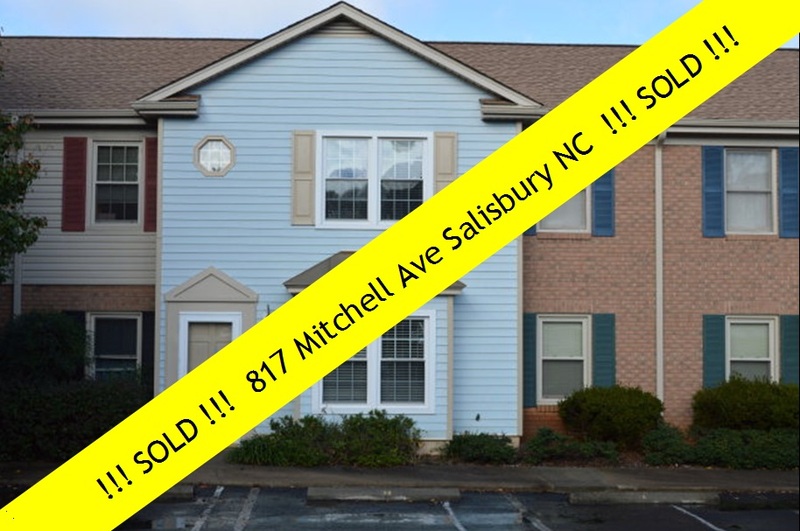 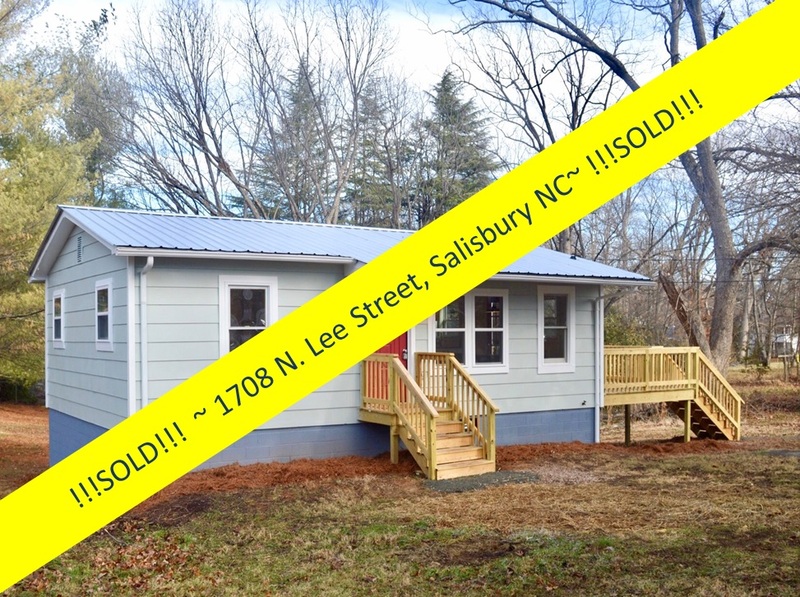 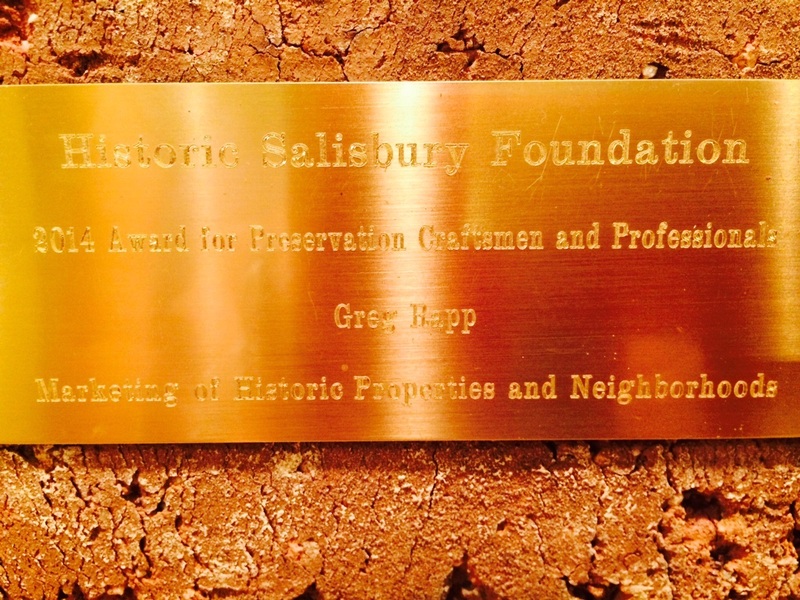 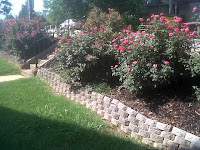 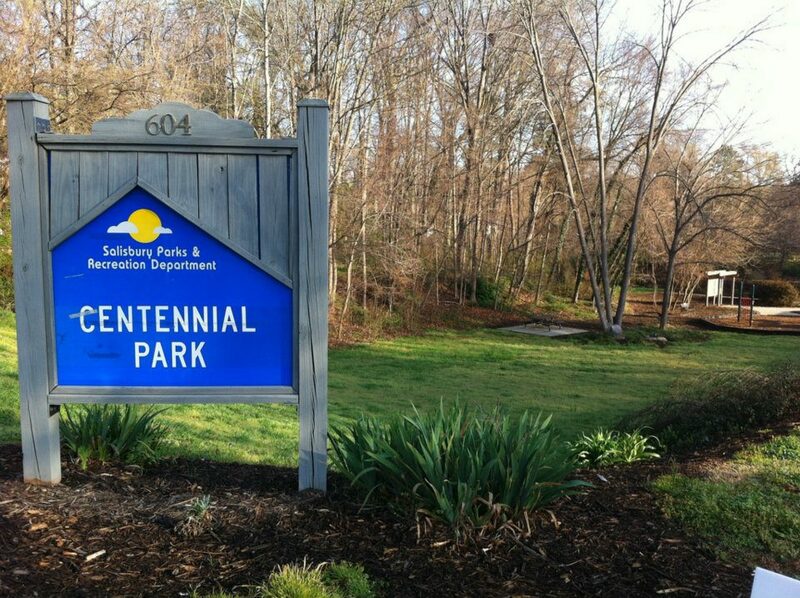 The Fulton Heights Neighborhood was the 2012 recipient of the City of Salisbury's BLOCKWORK Program. 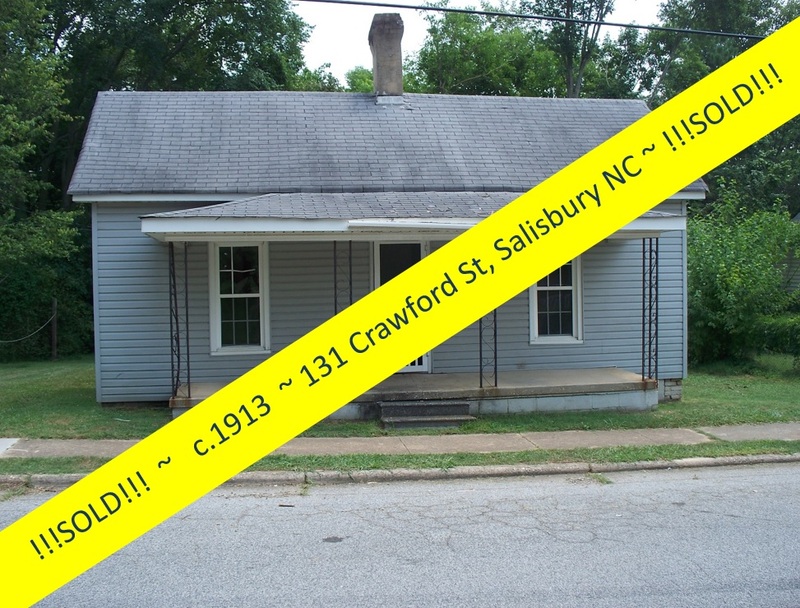 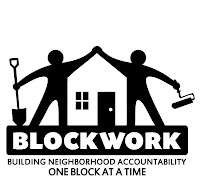 The City of Salisbury’s Community Appearance Commission hosted the BLOCKWORKNeighborhood Improvement Project in the 1000 block of South Fulton Street this October. 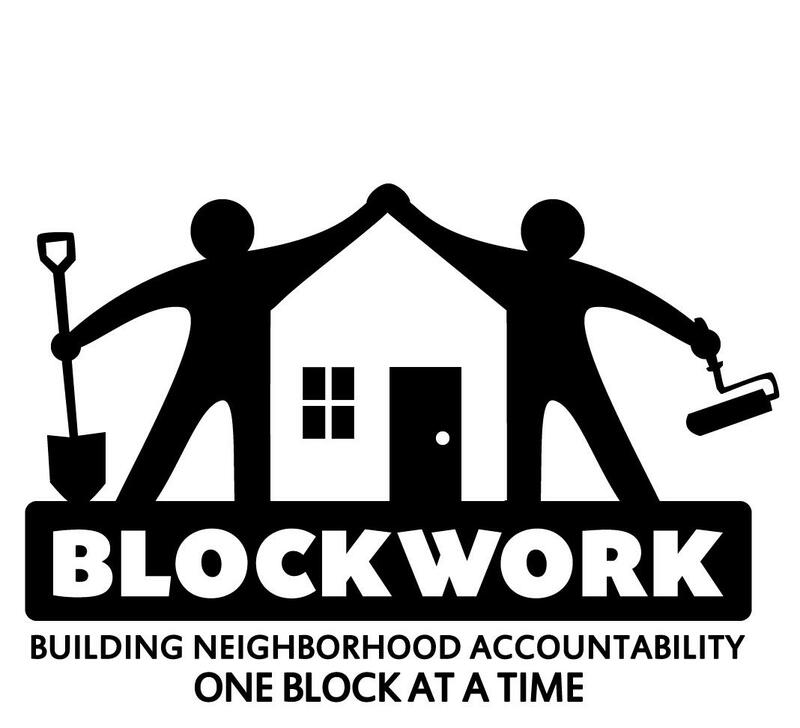 Salisbury's BLOCKWORK is a grass-roots program designed to bring community supporters together to promote cleaner and safer neighborhoods - one block at a time. 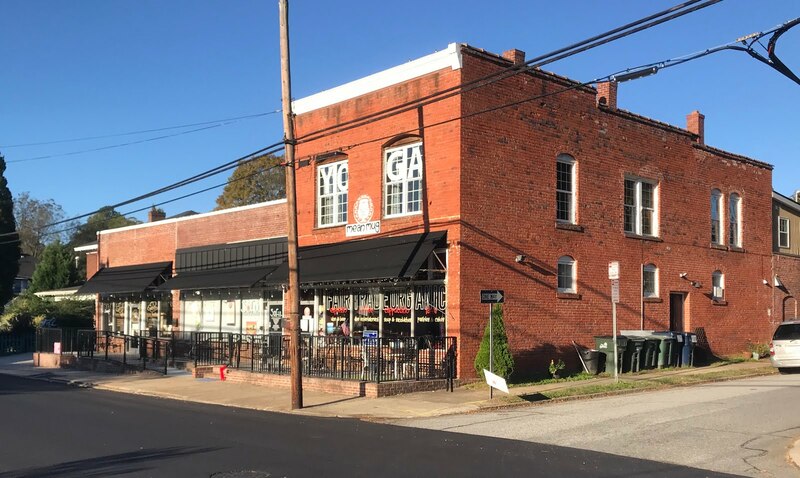 This year’s Fulton Street BLOCKWORK project included exterior repairs like painting, porch repair, decorative fence installation, sidewalk and landscaping work, and a major student art project. 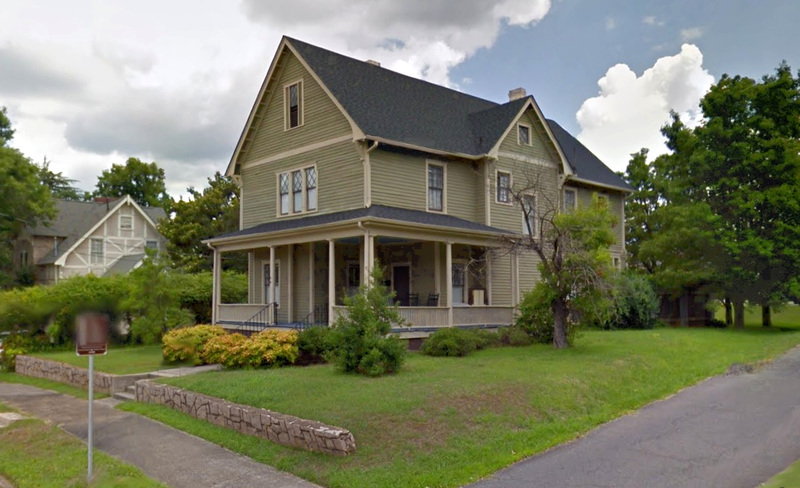 The Fulton Heights Neighborhood Association is a very active group that sponsors many fun family activities in the neighborhood, such as Easter Egg Hunts, an annual Halloween Parade & Costume Contest, and its annual Holiday Home Tour. 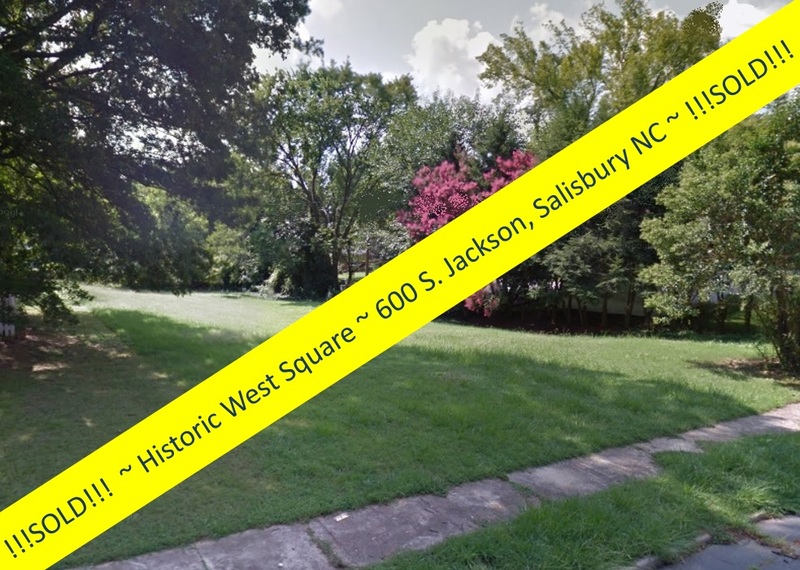 Fulton Heights has excellent sidewalks throughout its grid pattern creating a great place to take walks to enjoy the neighborhood, and a small park actually funded and installed by a neighborhood fundraising effort. 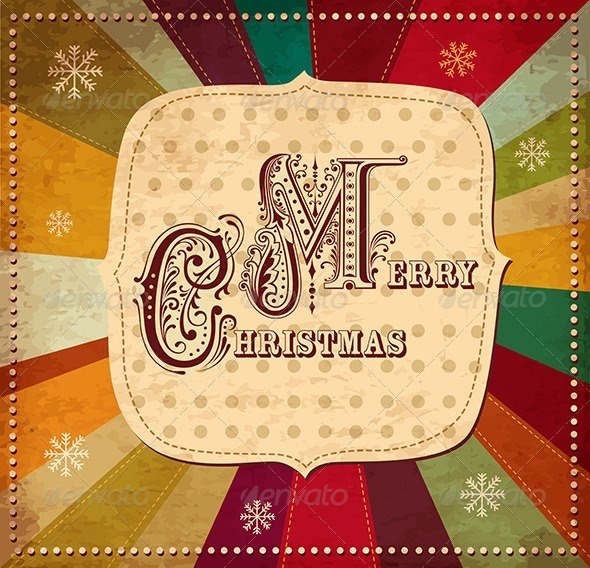 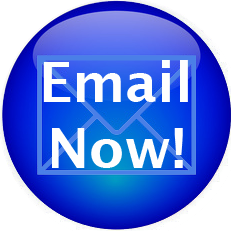 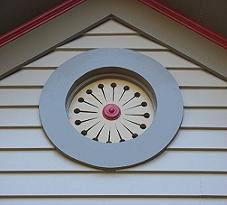 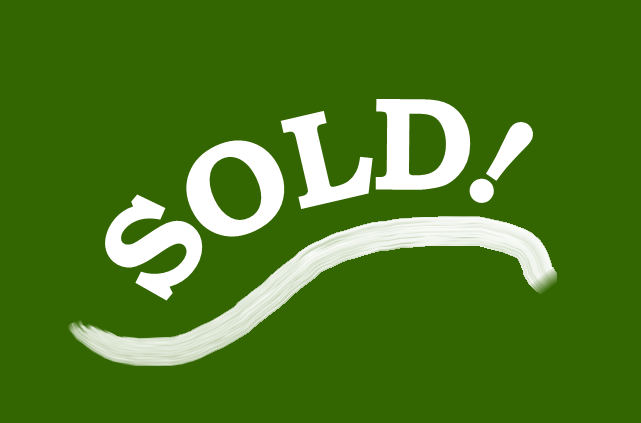 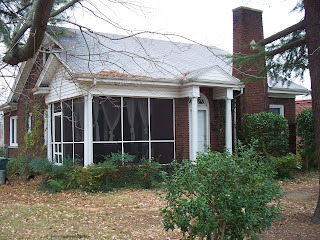 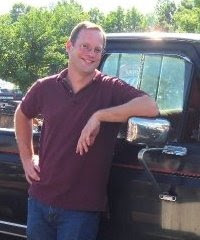 The Fulton Heights Neighborhood Association communicates with neighbors via email, on on-line newsletter on their website (http://www.historicsalisburyhomes.com/neighborhoods/fultonheights), and via Facebook at https://www.facebook.com/fultonheights. 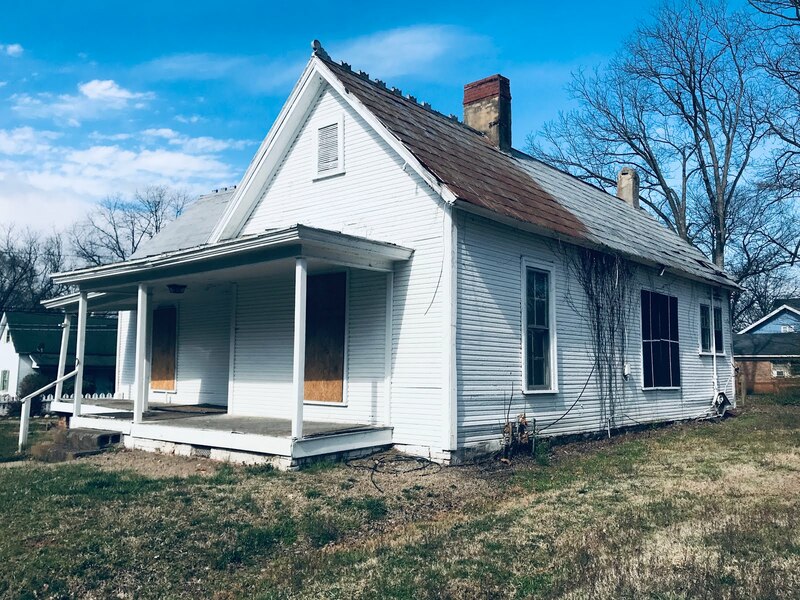 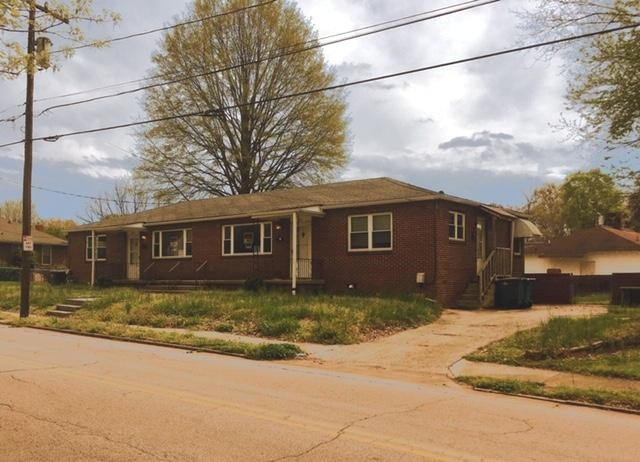 This 1932 brick bungalow at 1403 South Fulton Street with its spacious rooms and high ceilings needs some minor updates and a little TLC but is a solidly built home, priced FAR below its tax value! 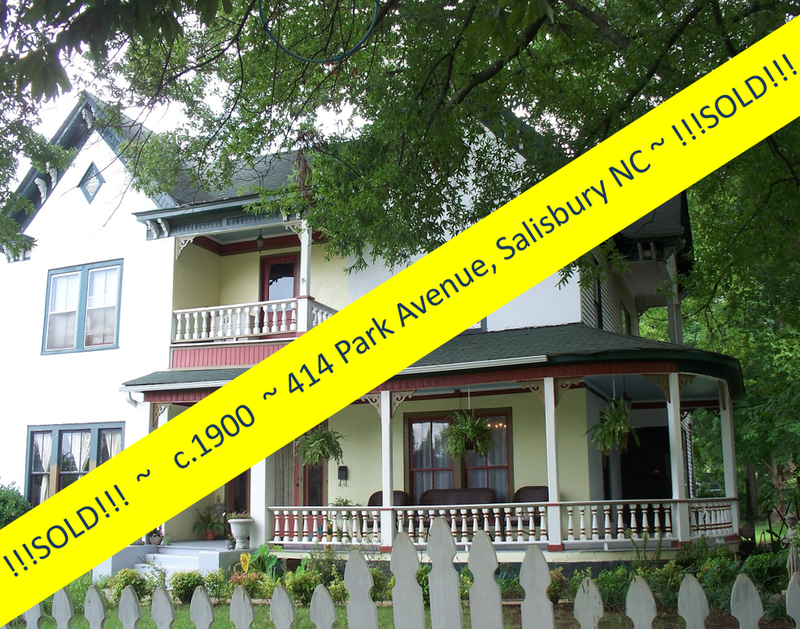 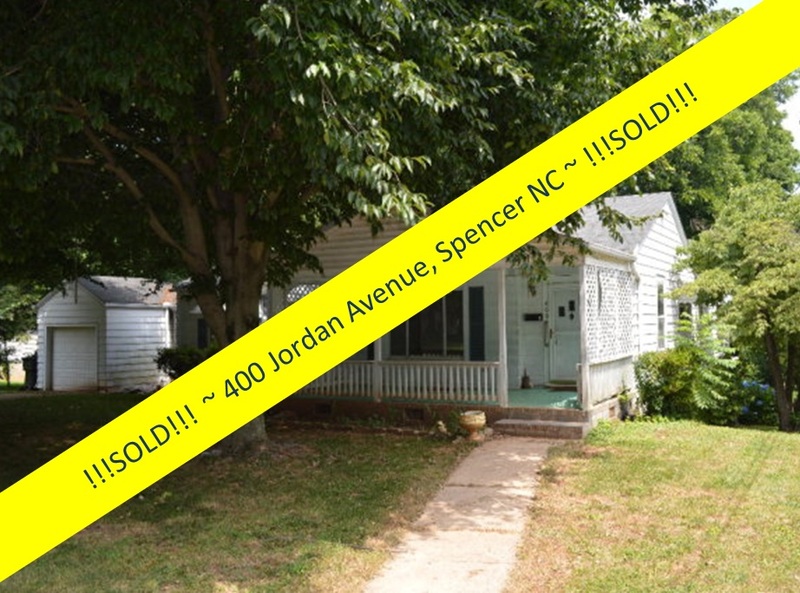 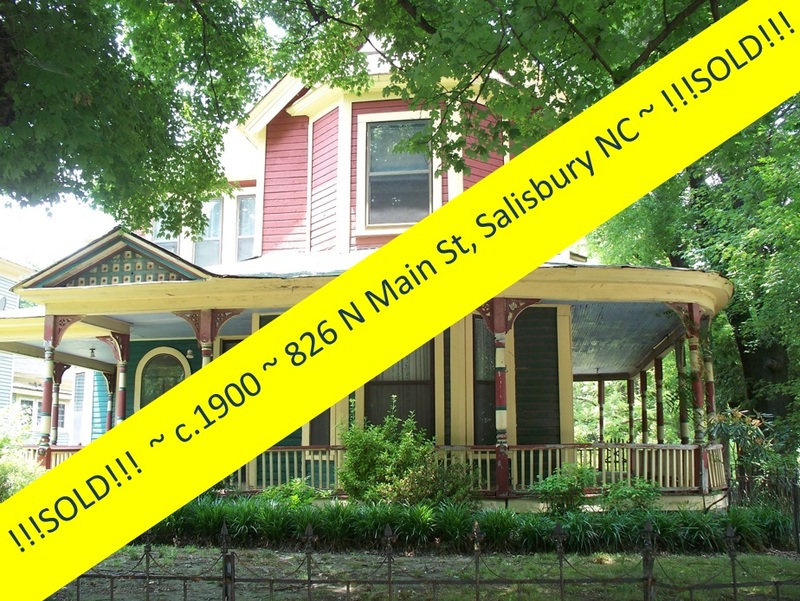 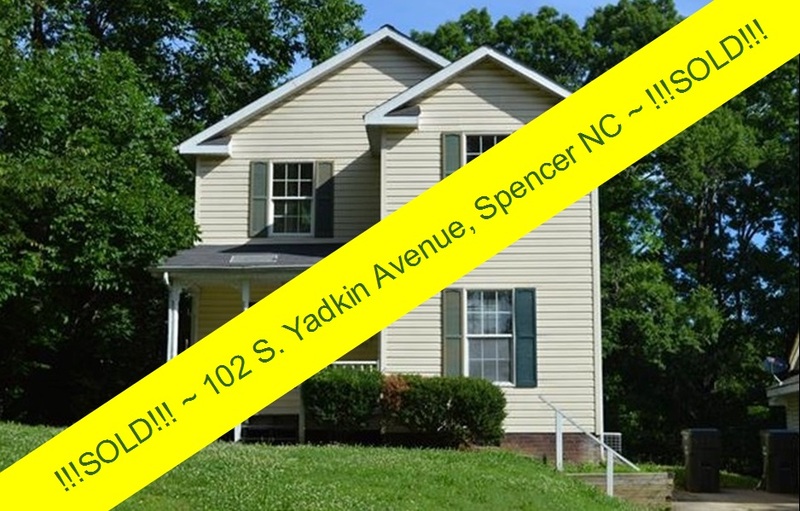 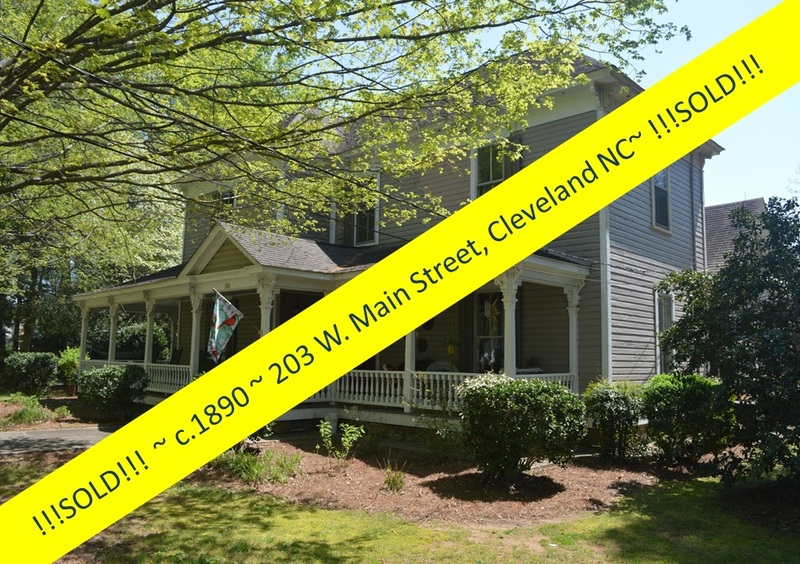 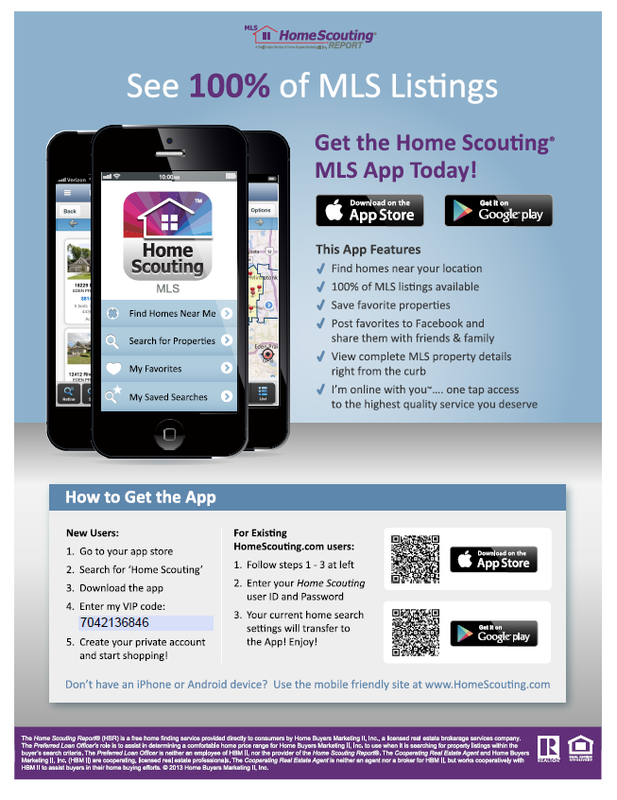 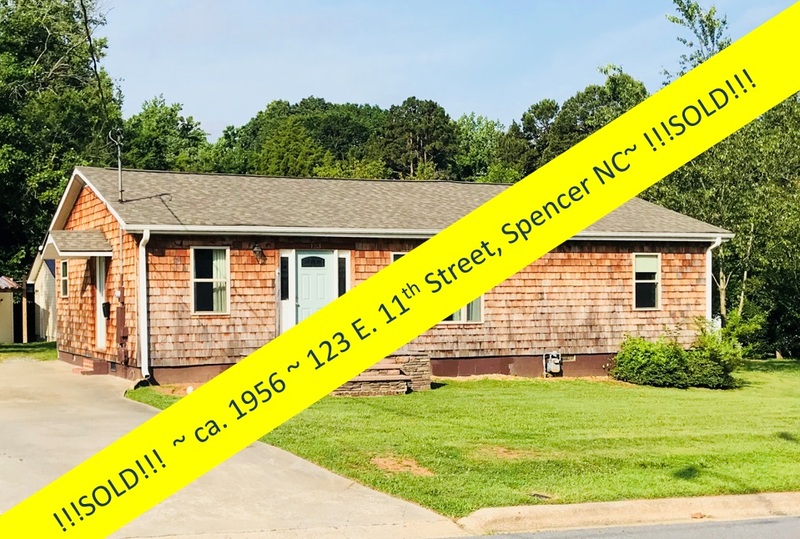 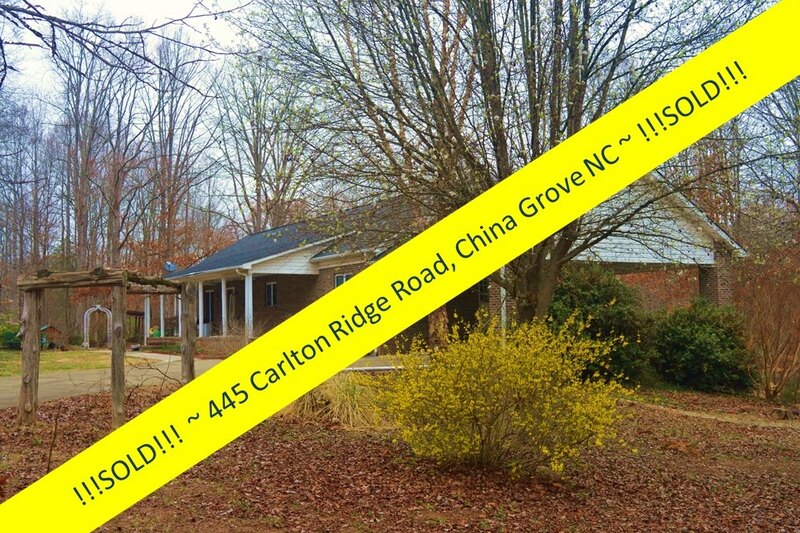 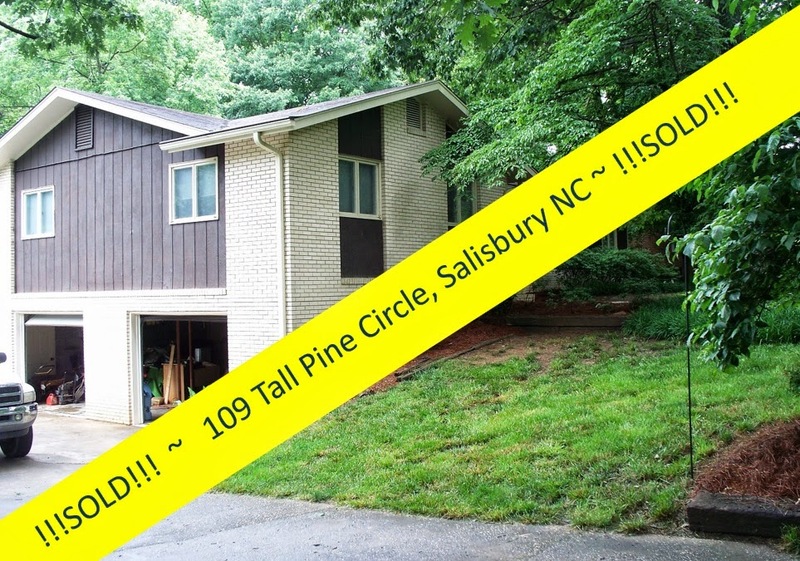 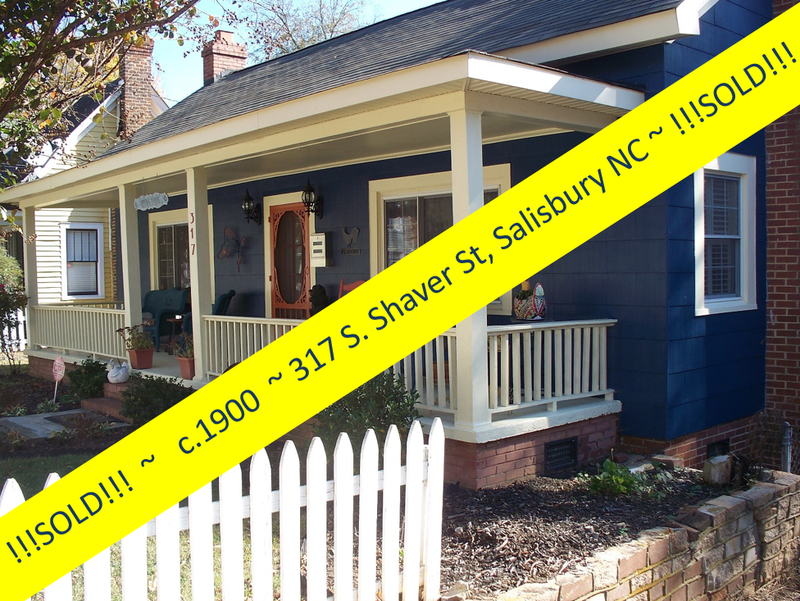 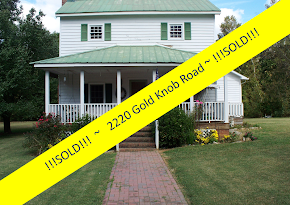 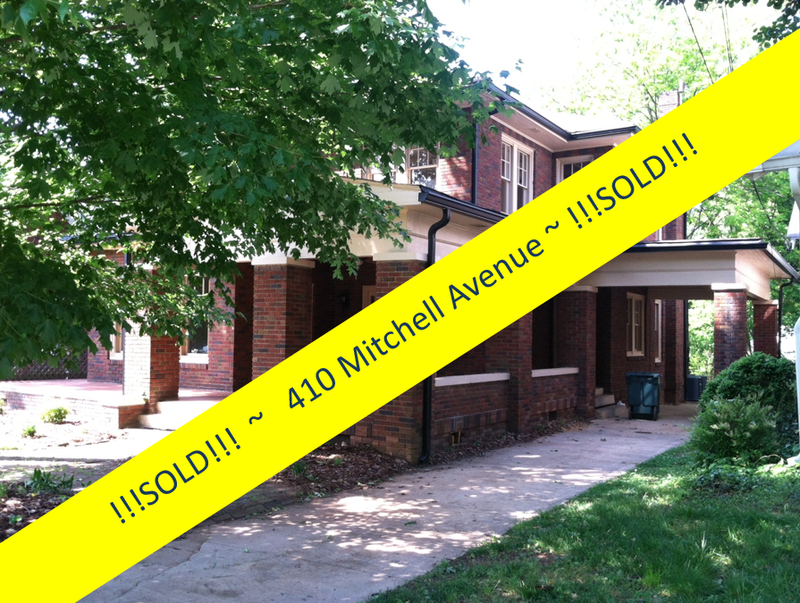 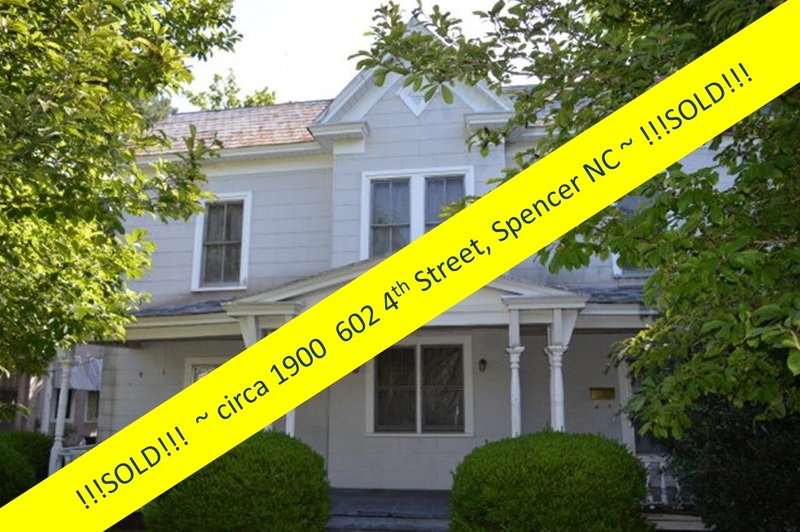 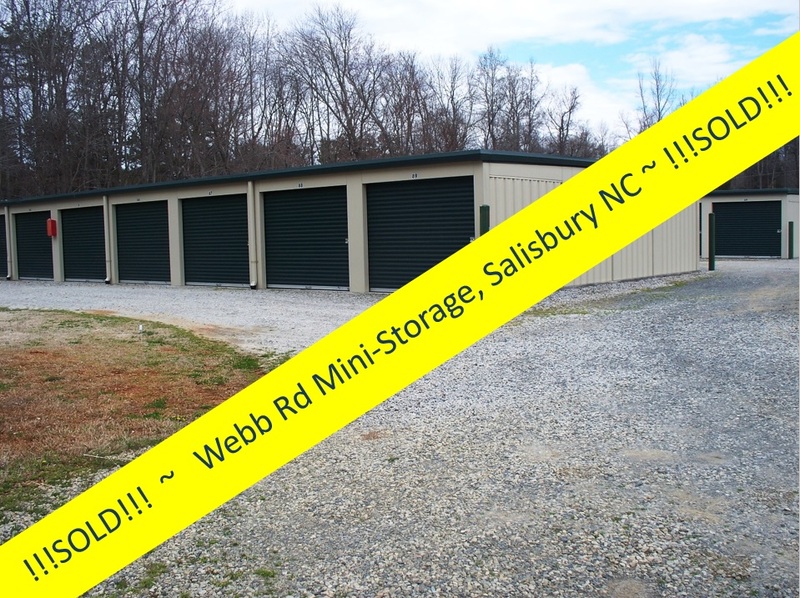 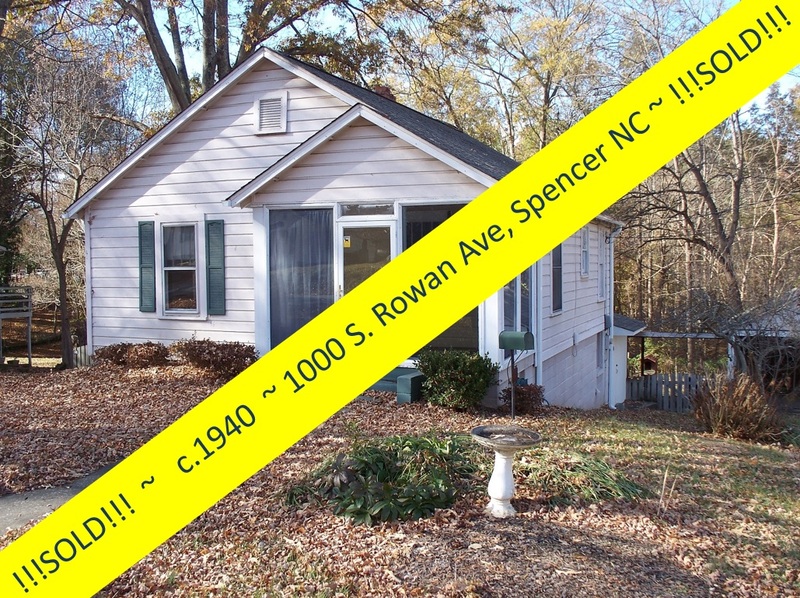 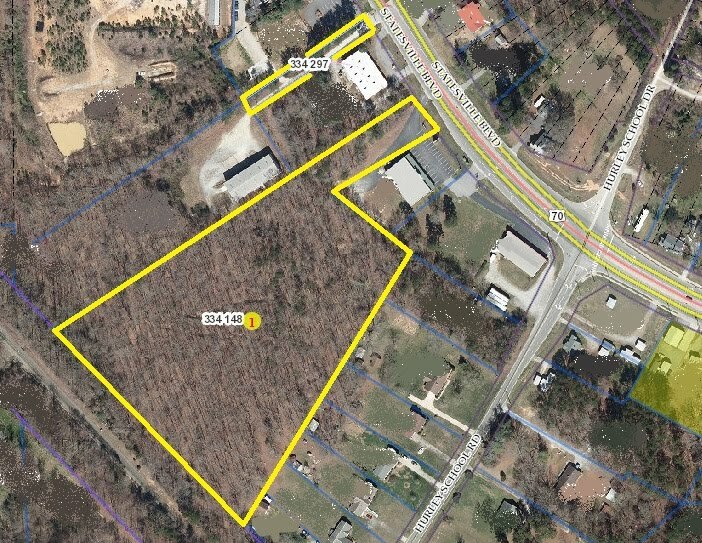 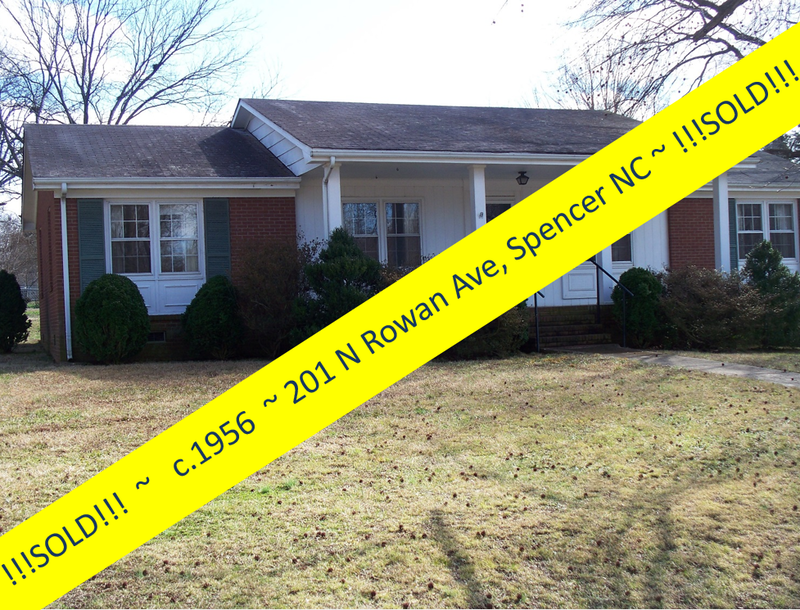 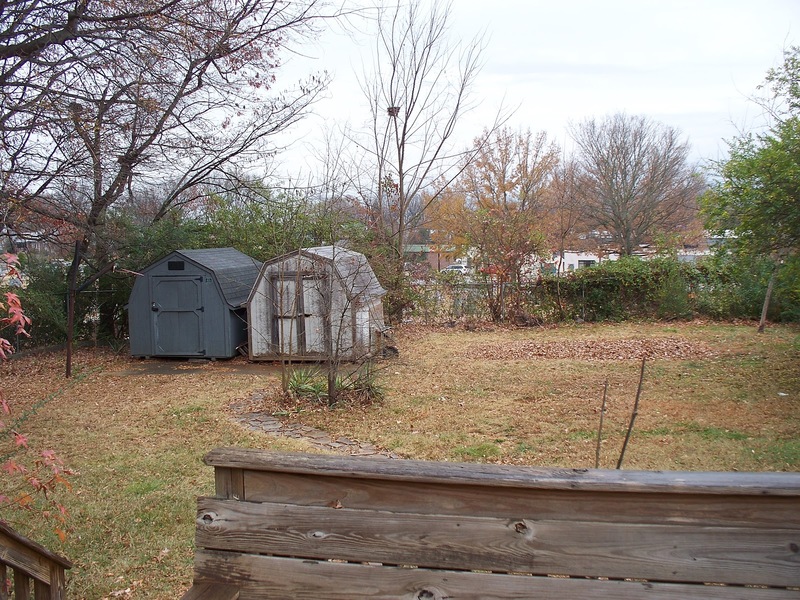 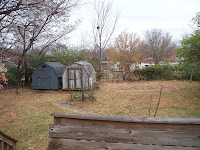 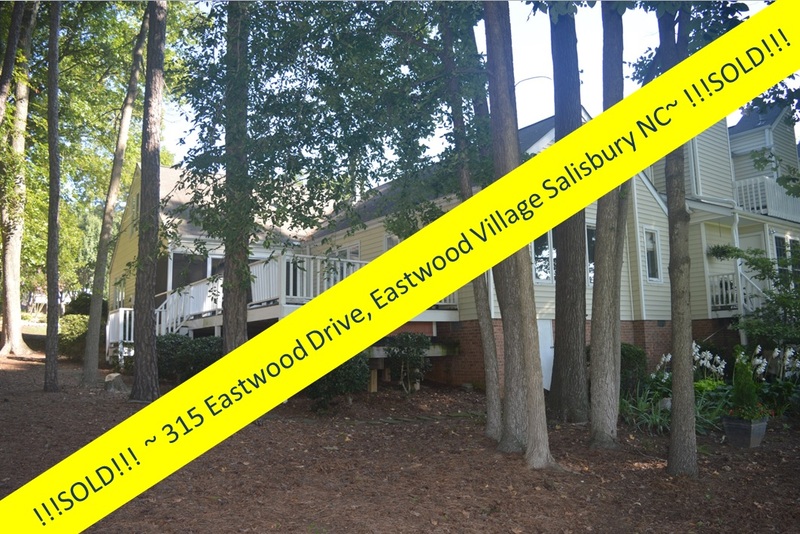 At the asking price of just $59,000, you can’t afford to pass up this opportunity!! 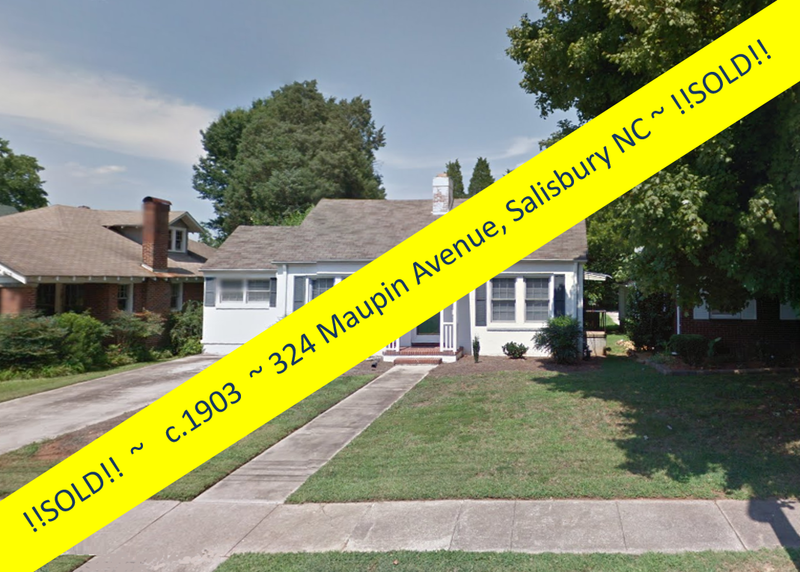 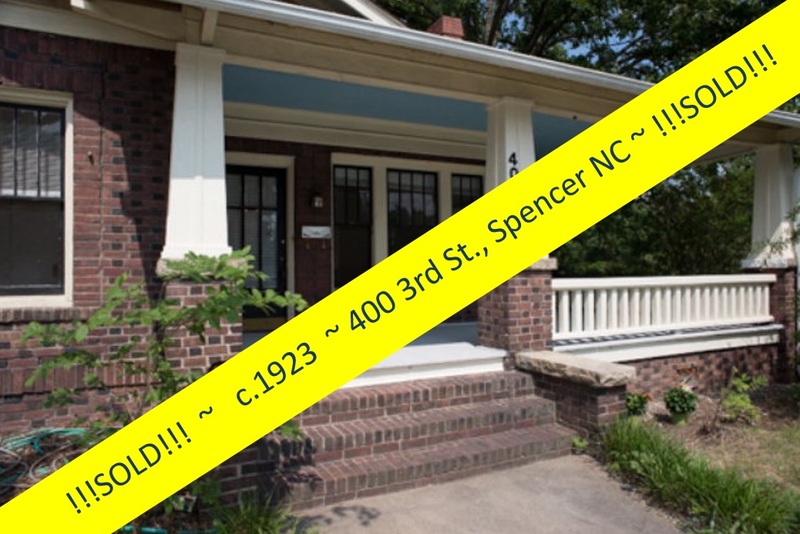 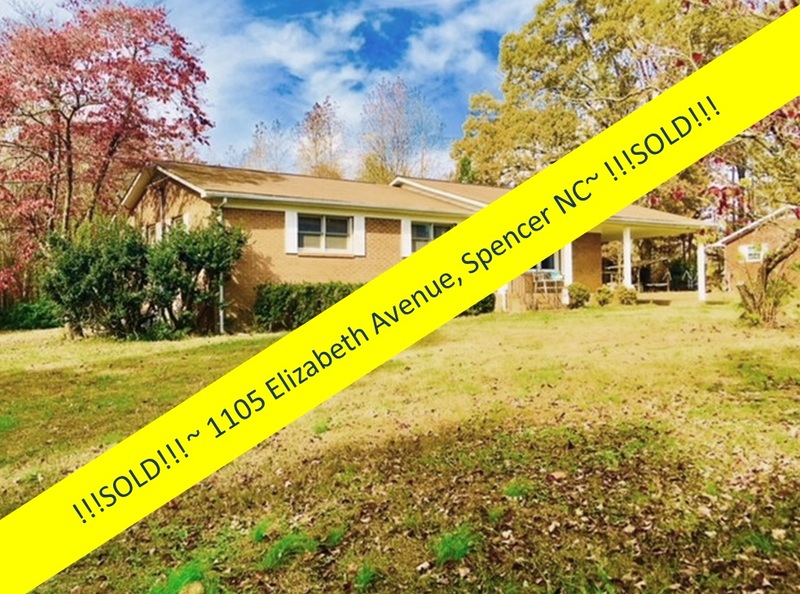 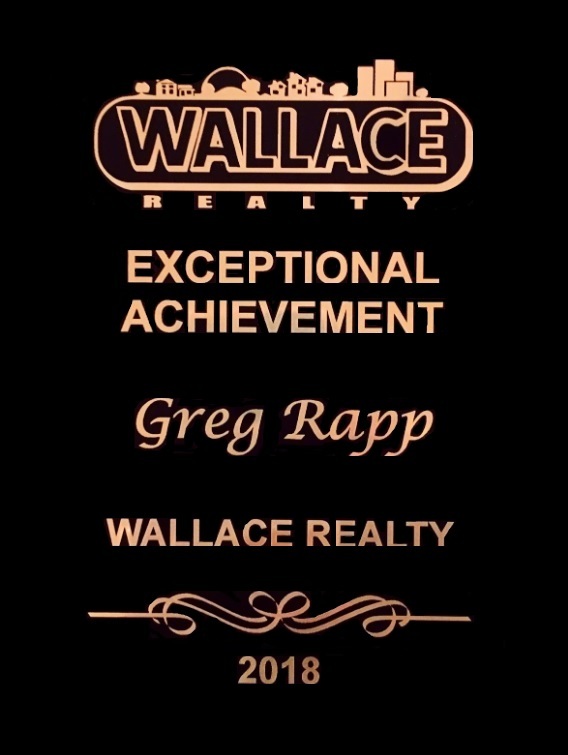 Take the first steps toward making this charming home your own, make Greg Rapp your real estate agent by calling 704.213.6846 and let him show you the vast potential in this gateway-to-Fulton Heights home!